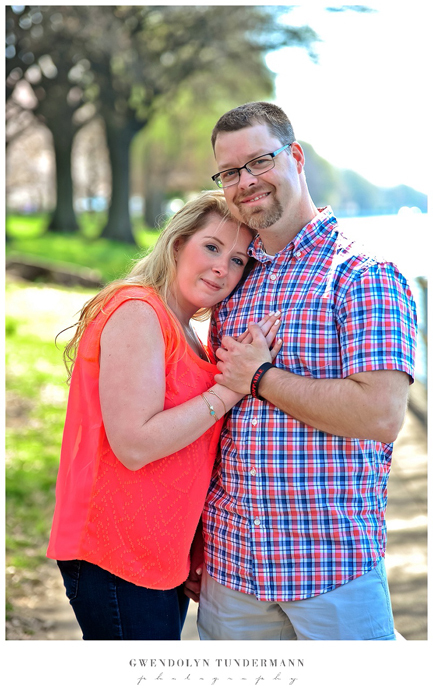 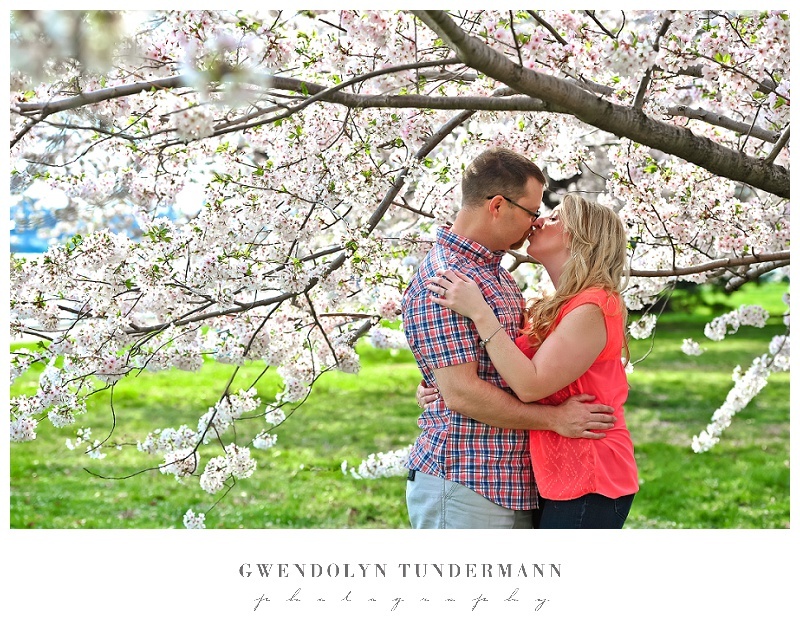 It’s hard to believe that a month ago we were hanging out with Meagan & Steven for their engagement photos in Washington DC, enjoying the beautiful cherry blossoms around the District! 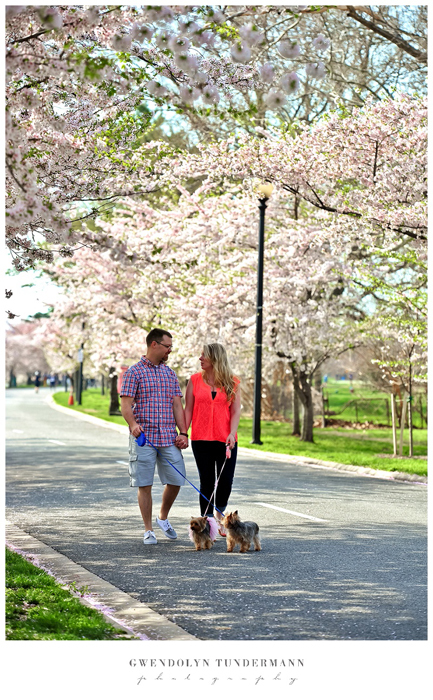 It was pretty much a perfect weekend with sunny skies, warm weather and the peak of cherry blossom season! 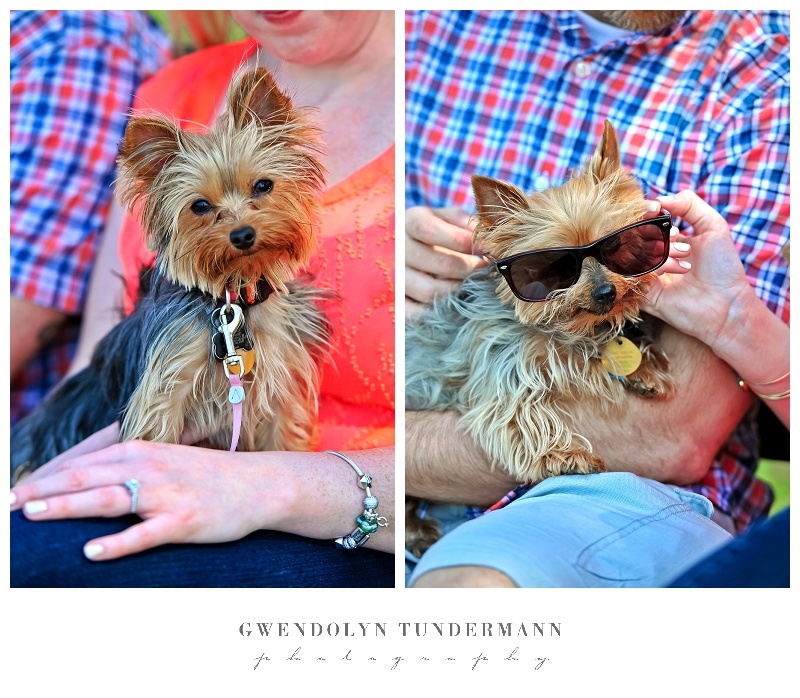 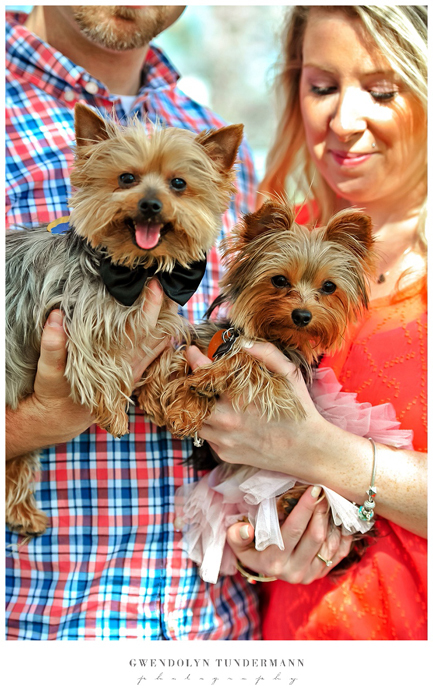 They also brought along their little loves Lola and Dodge, who help complete their sweet little family! 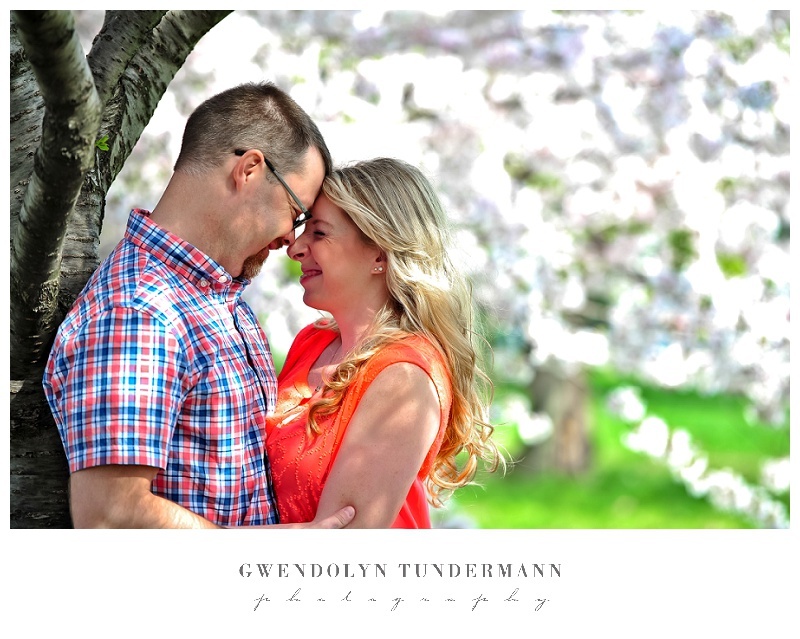 We can’t wait for their destination wedding later this year, and we’re so glad that we got a chance to meet up with them before the big day! 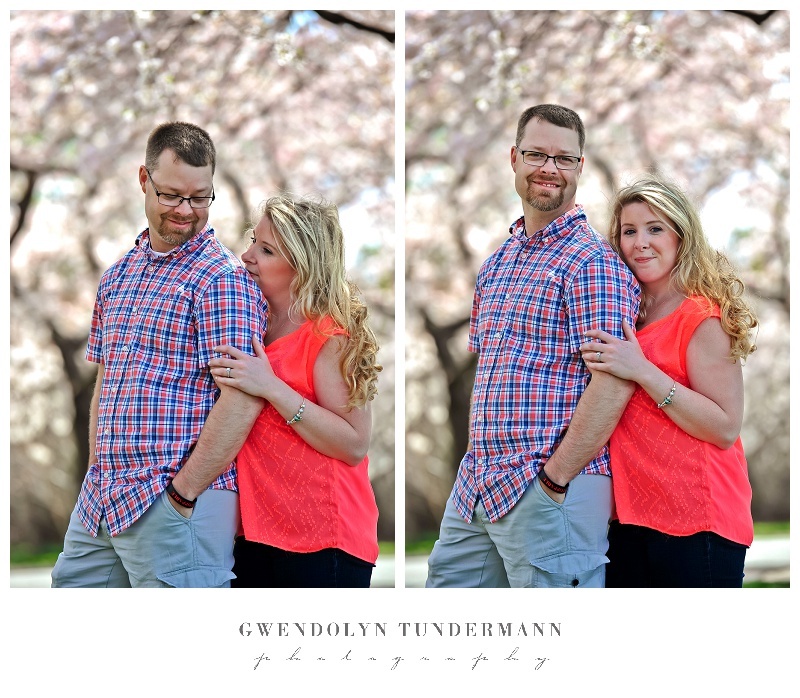 Aren’t they so adorable together?! 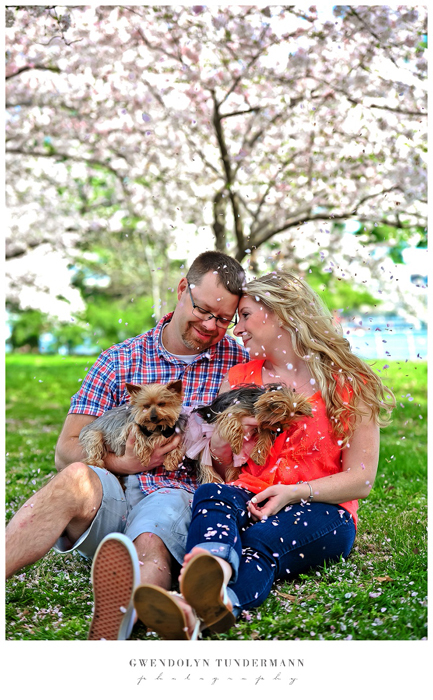 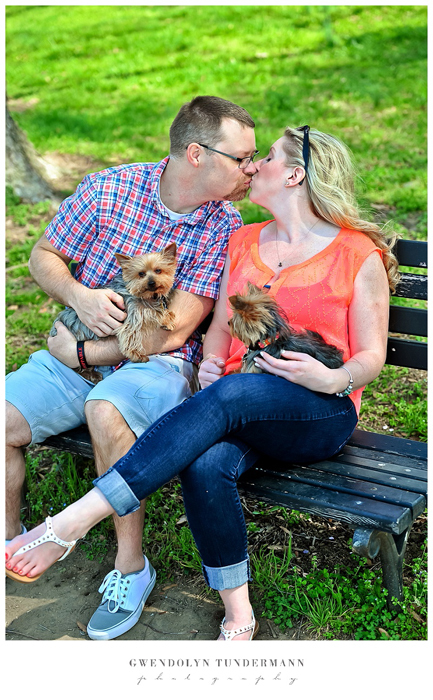 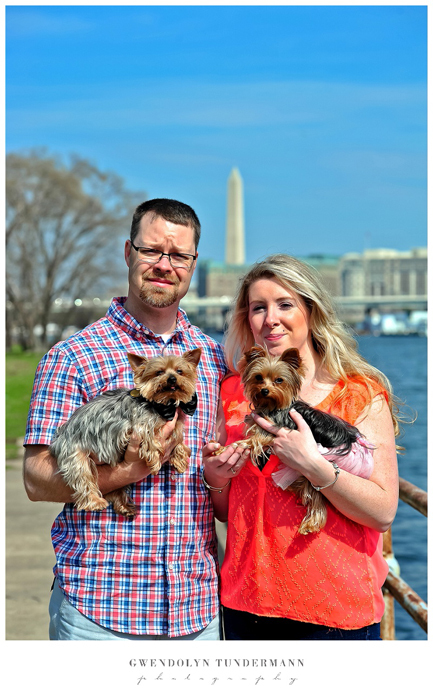 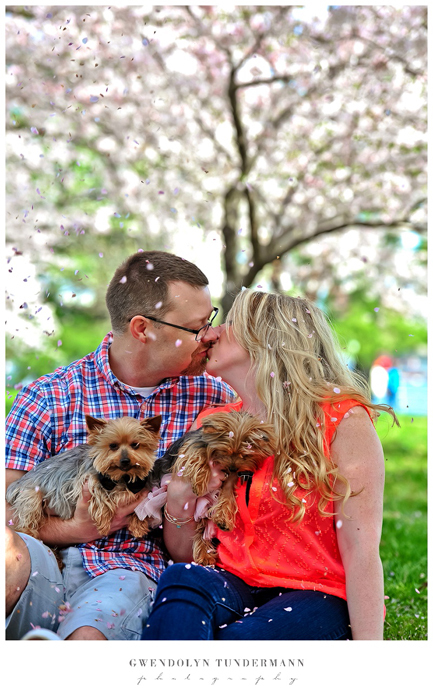 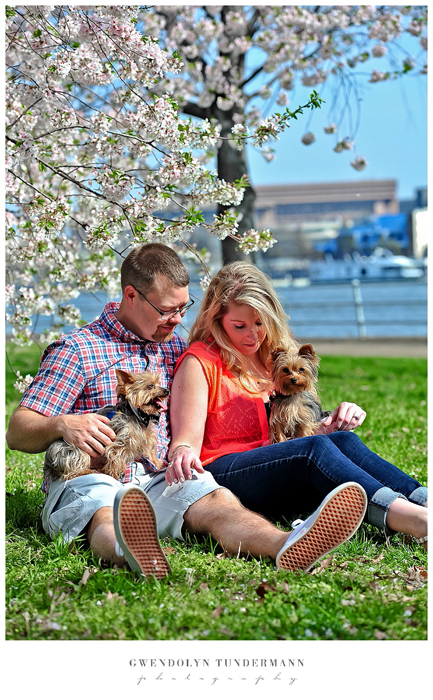 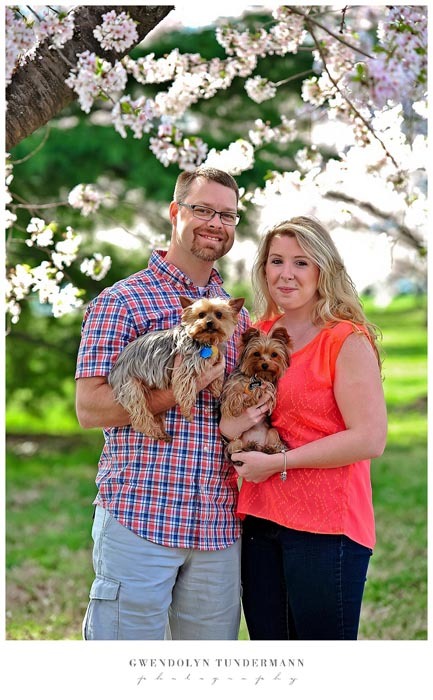 We had a blast last weekend enjoying the beautiful Cherry Blossom Festival, but the highlight of our trip was meeting up with Meagan & Steven and their sweet pups Lola and Dodge for their engagement photos in Washington DC! 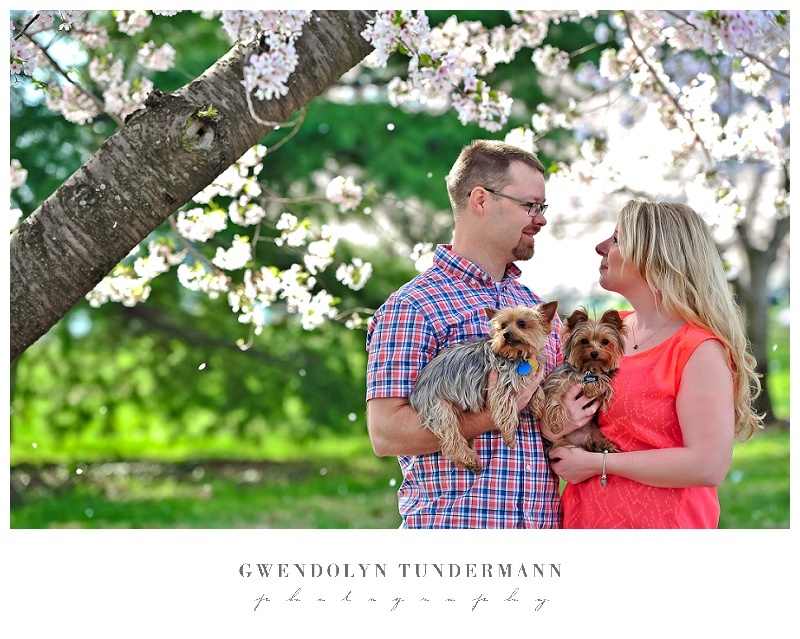 There was an abundance of blossoms and cuteness going on! 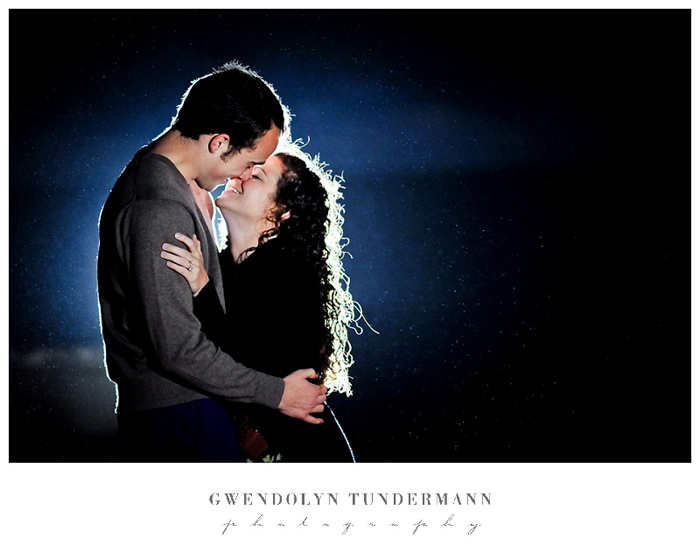 Here’s a little preview! 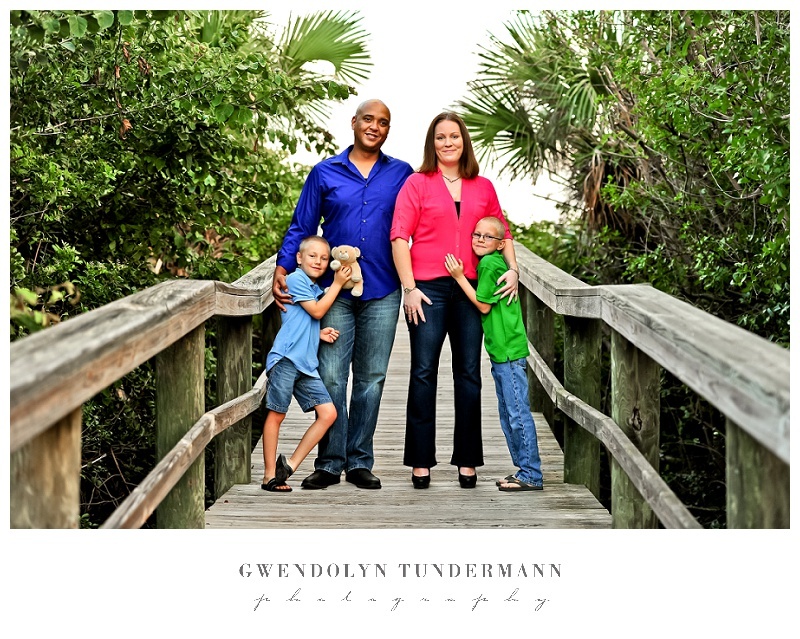 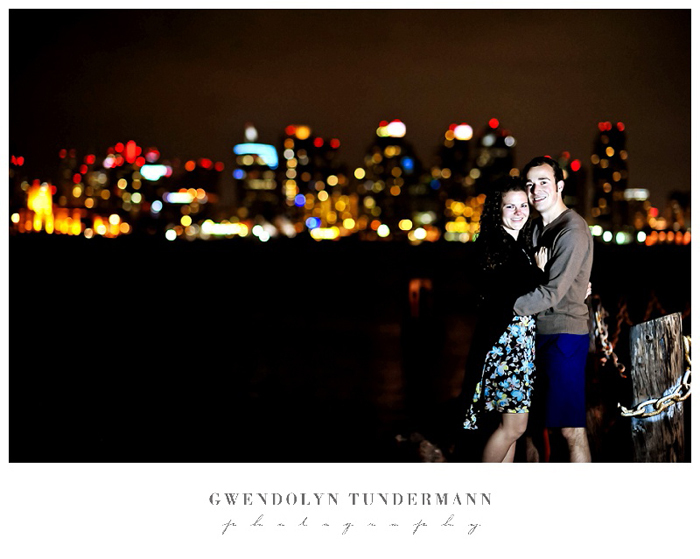 It was so nice to spend time with Gerilyn & Thomas on their recent visit to San Diego! 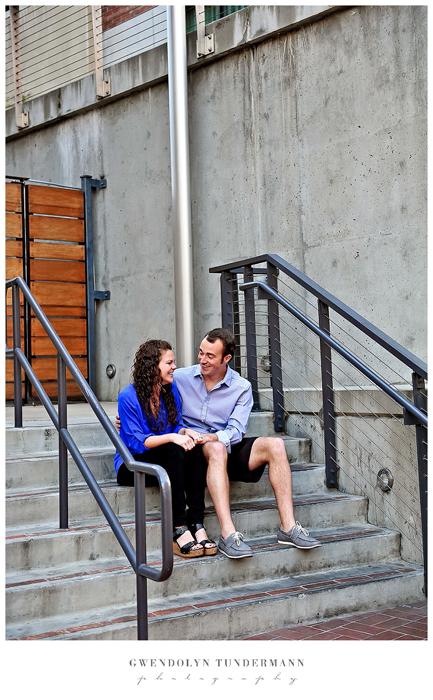 They were in town finalizing some details of their San Diego destination wedding, but it was extra special because they’ve been making their plans from opposite sides of the country also! 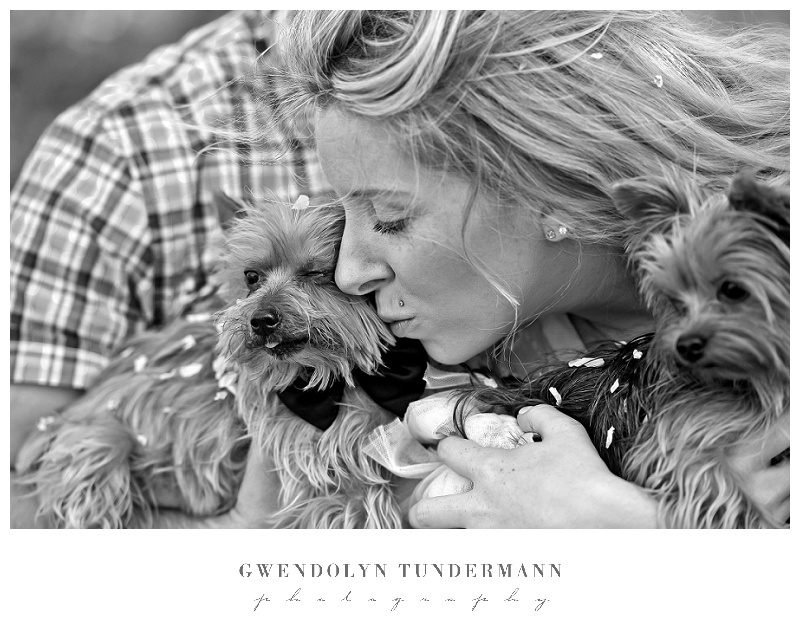 Maybe it’s all that time apart that made this day extra special, but they were so cute as they cuddled up together. 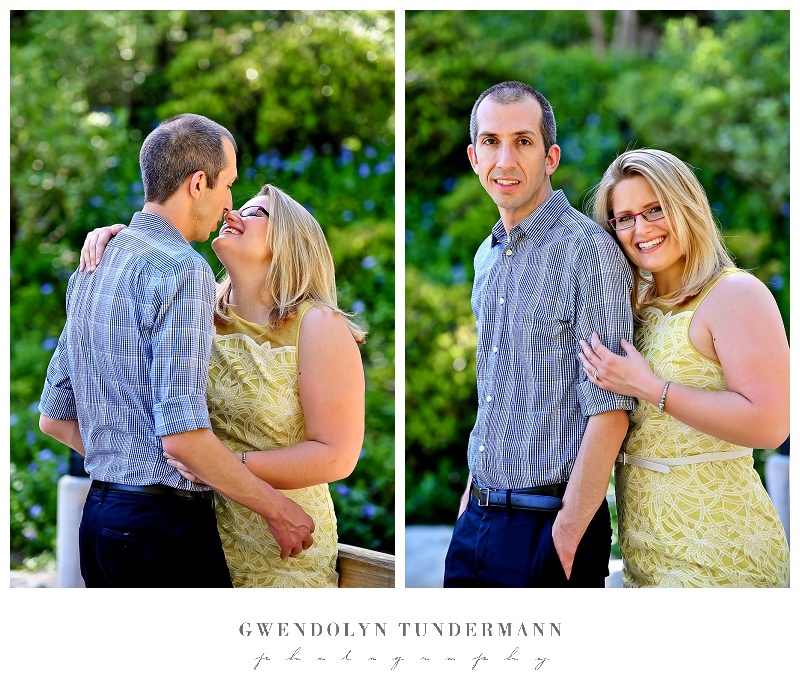 Thomas showered his sweetheart with little kisses and Gerilyn giggled and showed that shy but oh-so-sweet smile of hers! 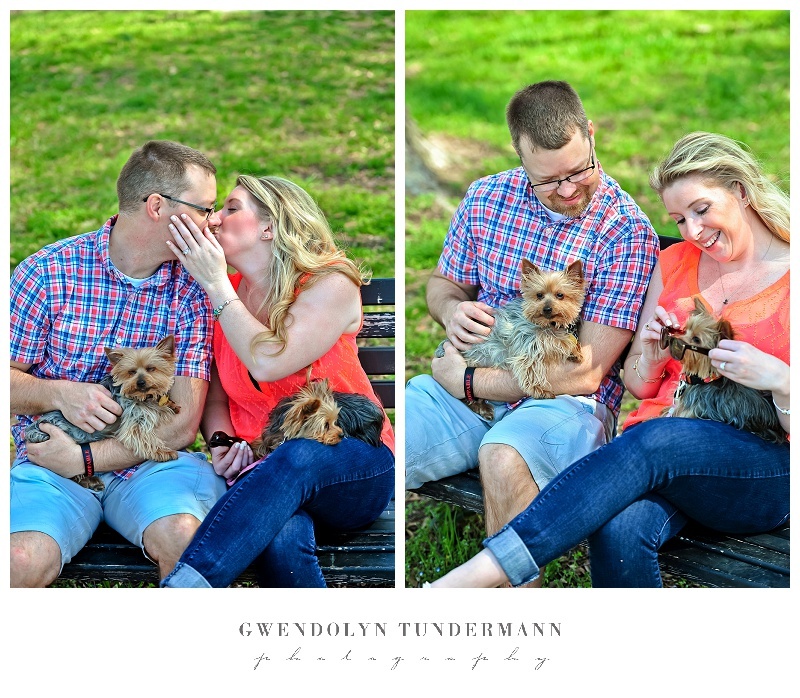 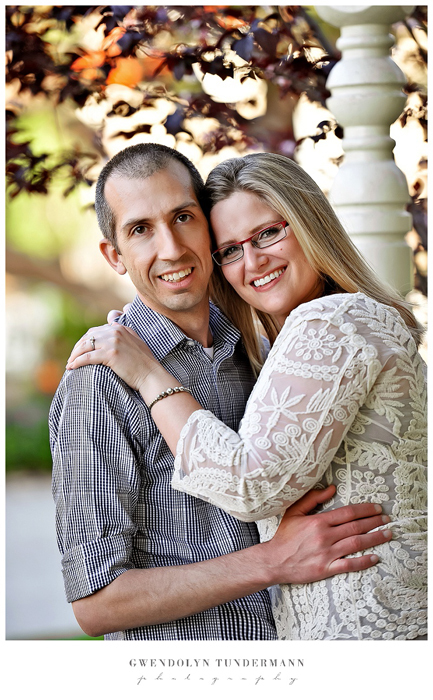 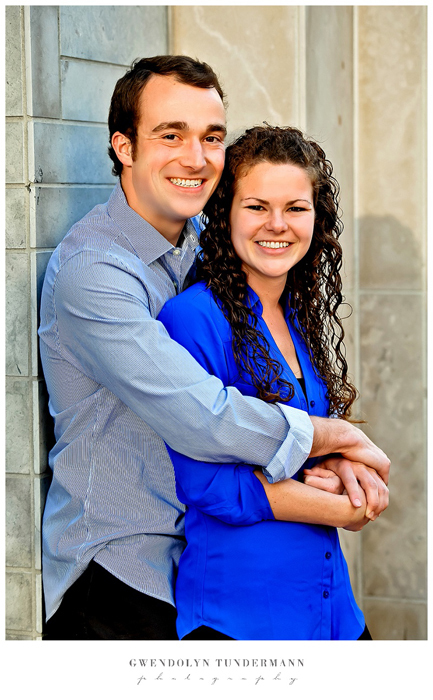 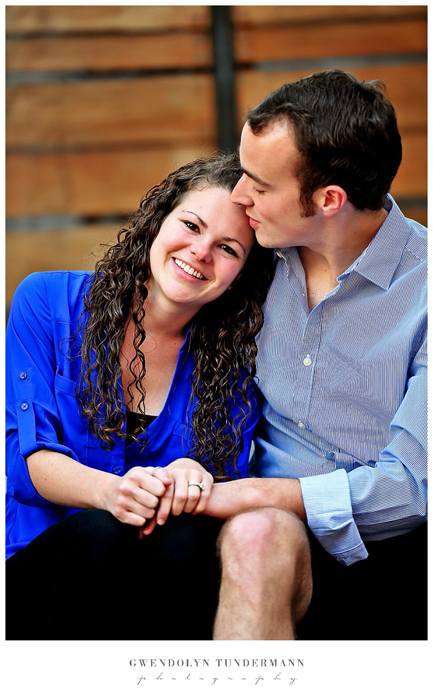 We can’t wait for their wedding this summer because we just can’t get enough of this adorable couple! 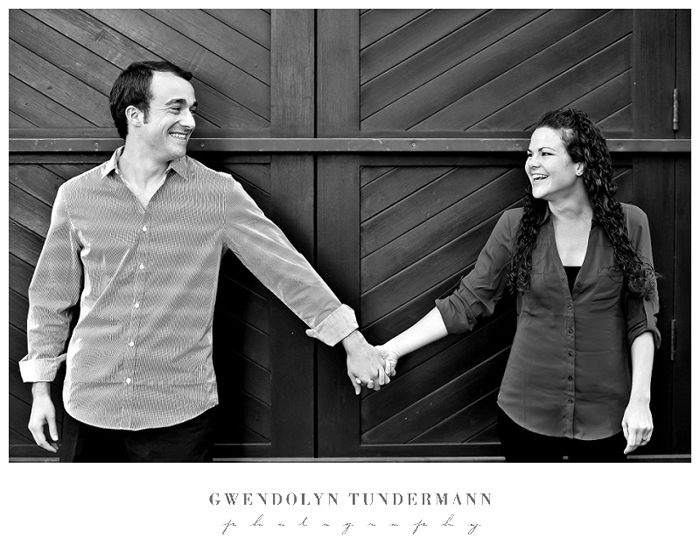 Based on all the likes that their sneak peek got, I’m guessing you all can’t get enough, either! 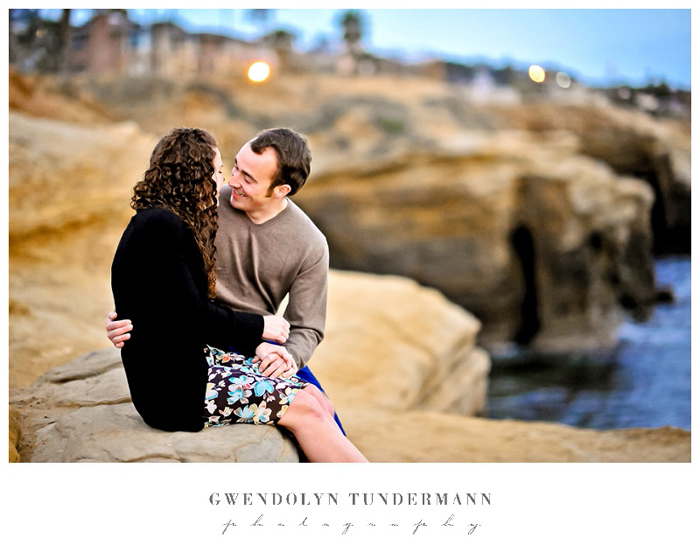 I’m excited to say that we have even more photos to share from their San Diego engagement session, which included the famous Gaslamp District downtown and one of the most stunning parts of the San Diego coast, the beautiful area of Sunset Cliffs! 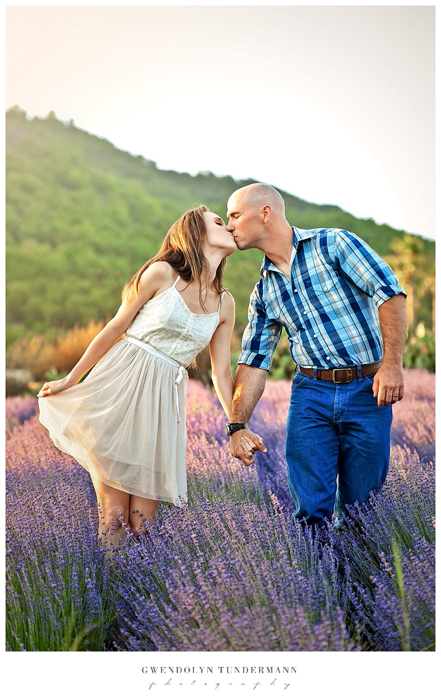 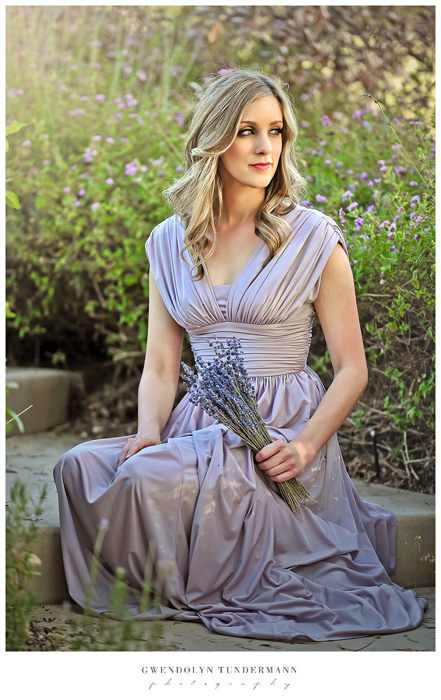 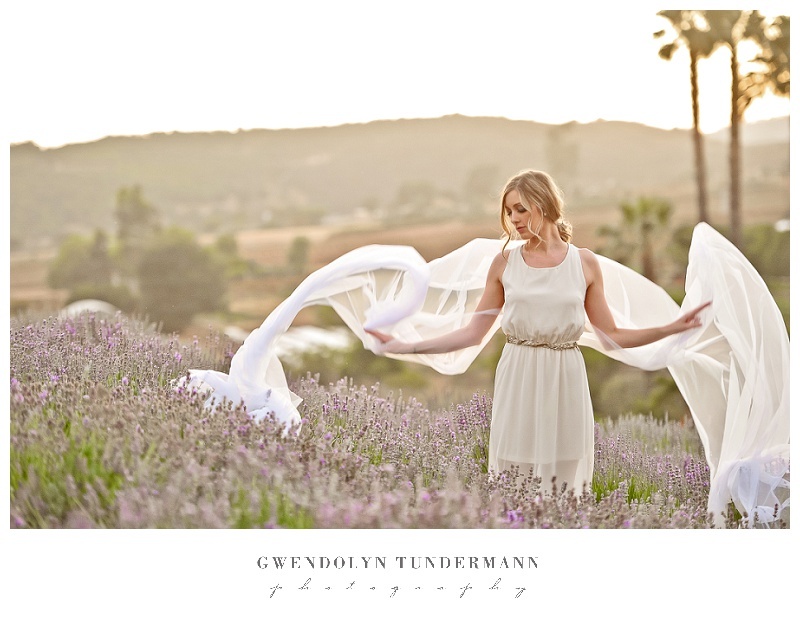 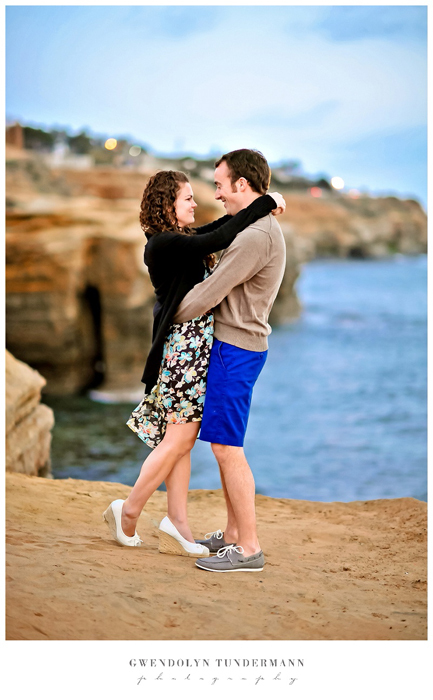 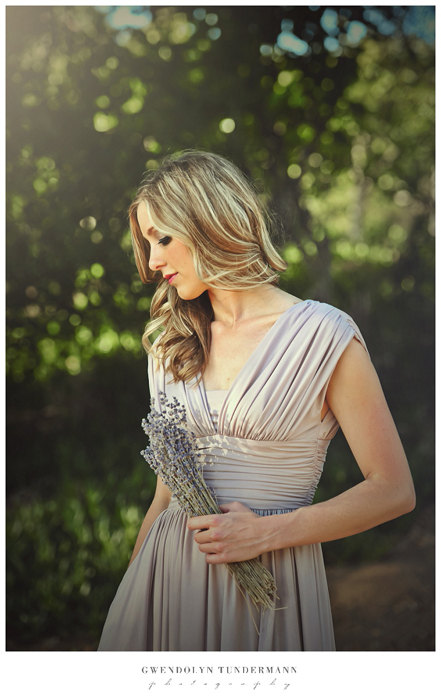 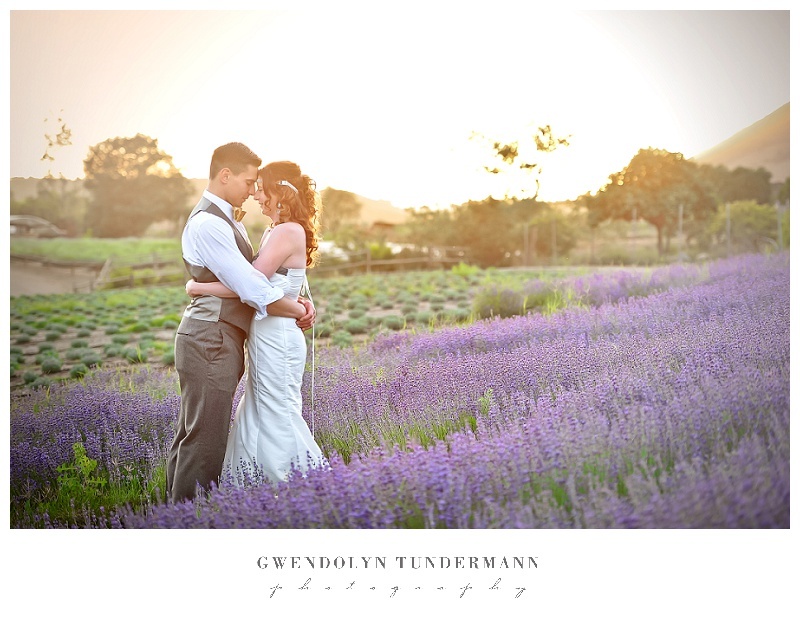 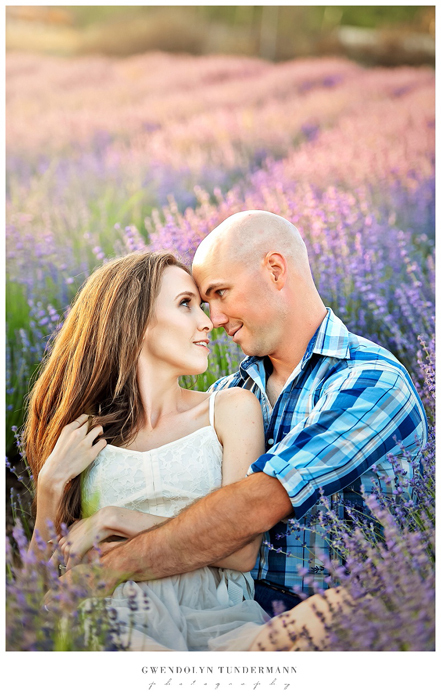 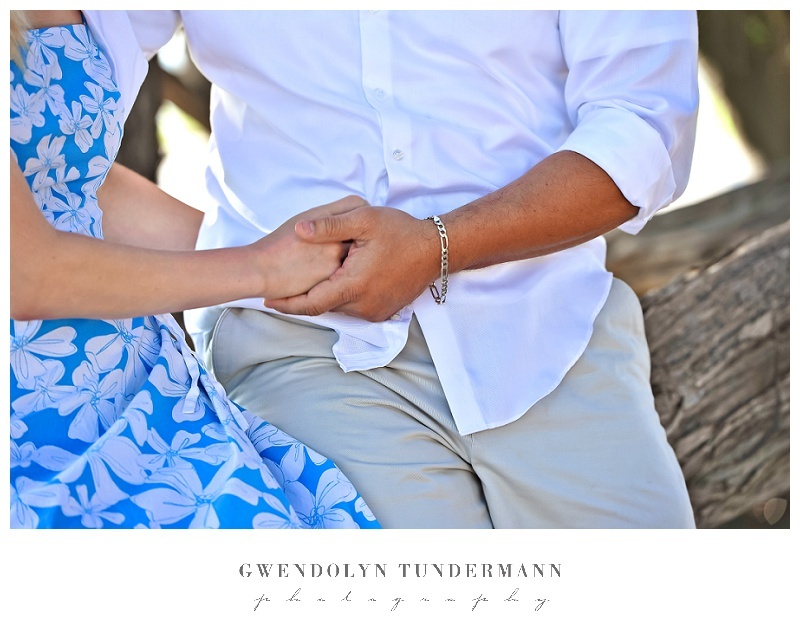 Spring is in the air, and nature provided a beautiful backdrop for Jennifer & Kevin’s San Diego engagement photos! 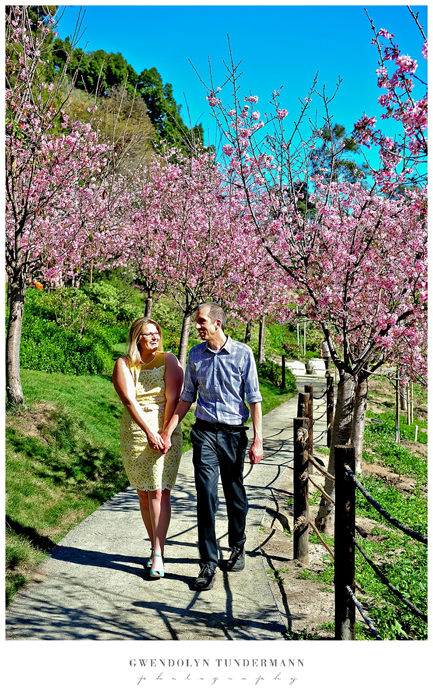 We started off at the Japanese Friendship Garden at Balboa Park, which has its stunning cherry blossoms in bloom right now! 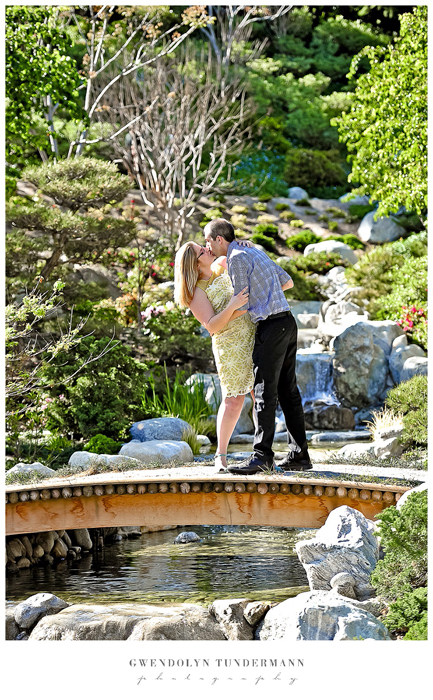 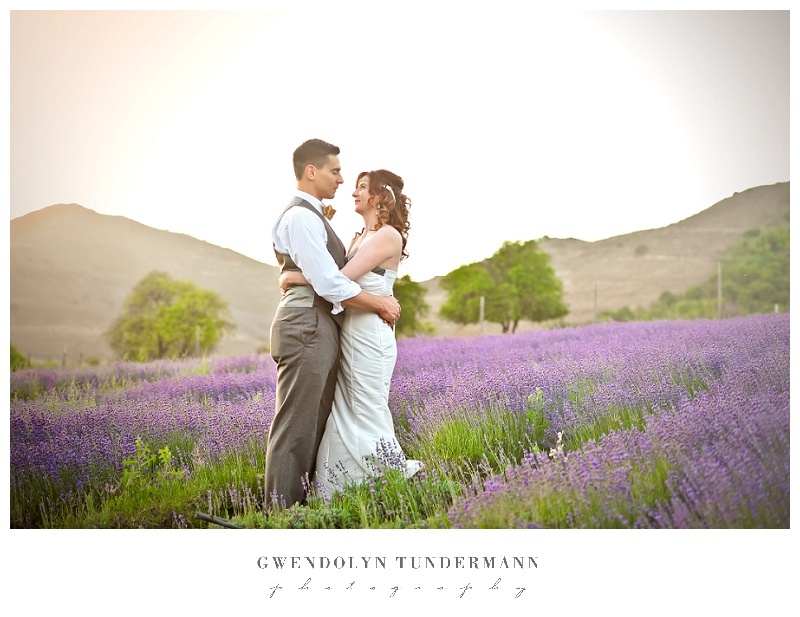 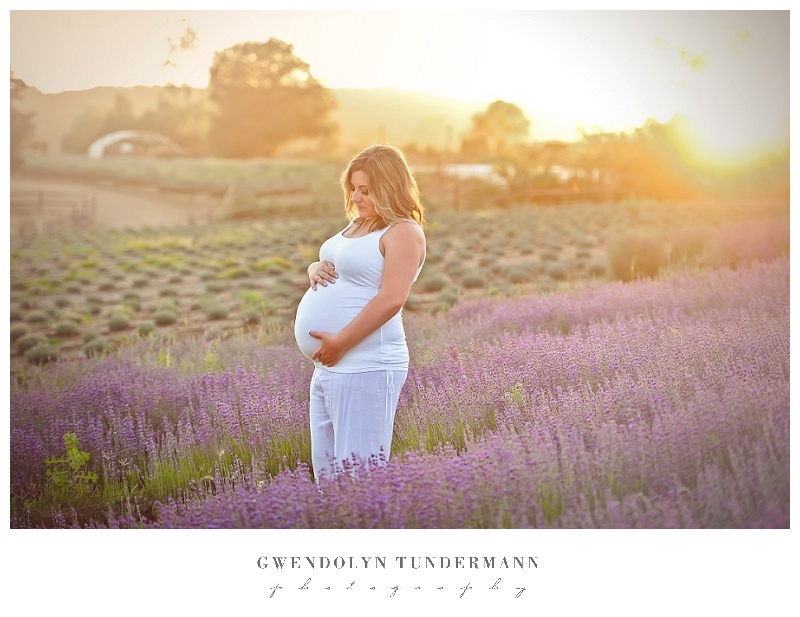 Such a beautiful location, and they are continuing to expand this gorgeous garden! 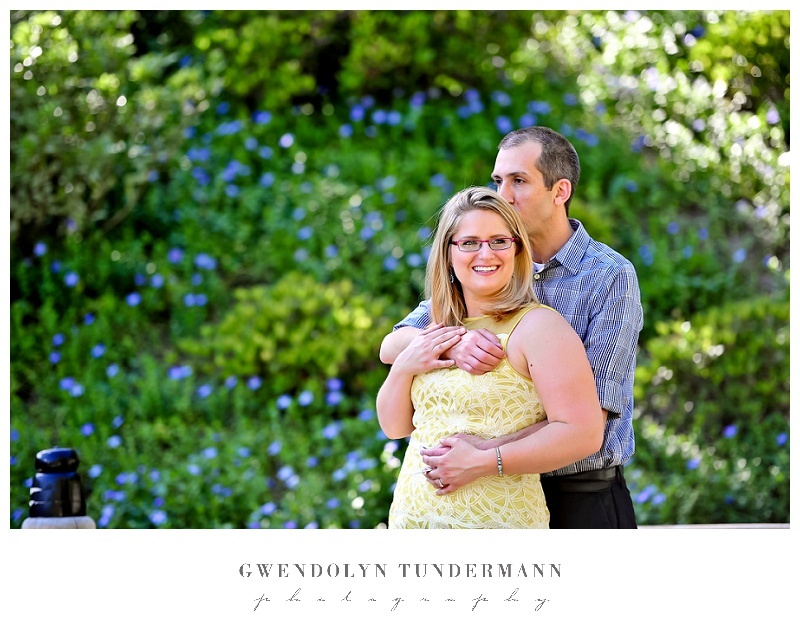 It was a lovely place to take a stroll and follow Jennifer and Kevin as they giggled and cuddled up together! 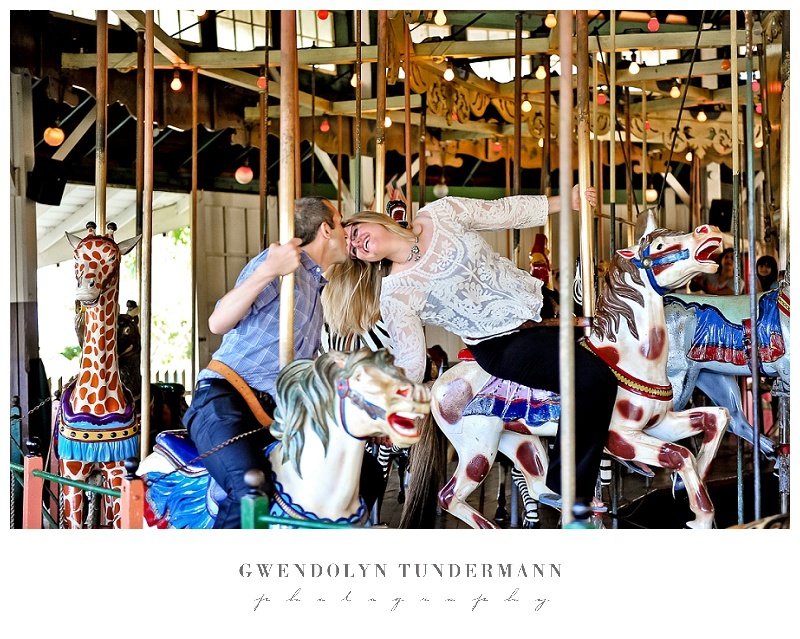 Before leaving Balboa, we paused for some fun at the historic carousel! 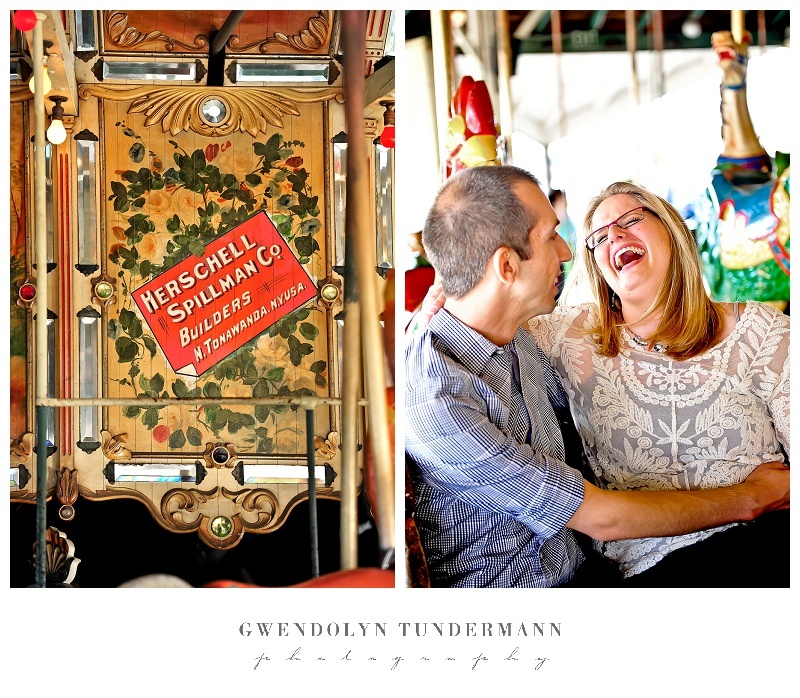 Call me old fashioned, but I think carousels are completely romantic! 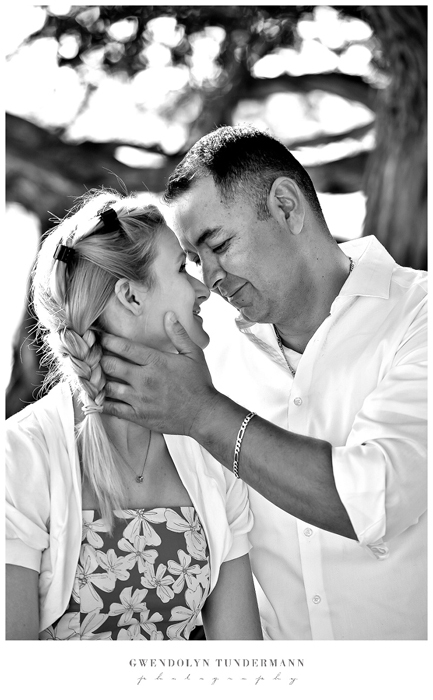 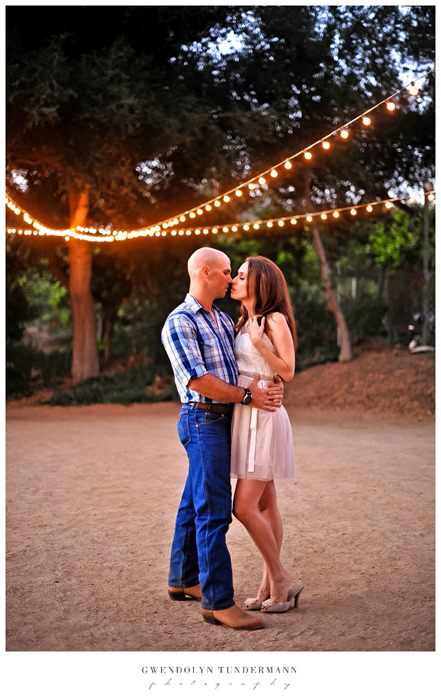 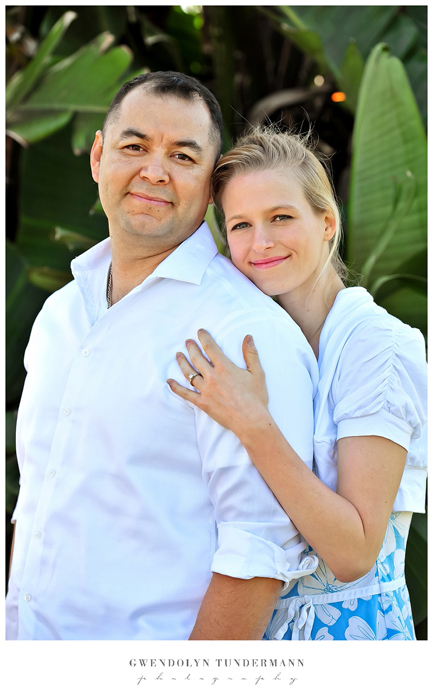 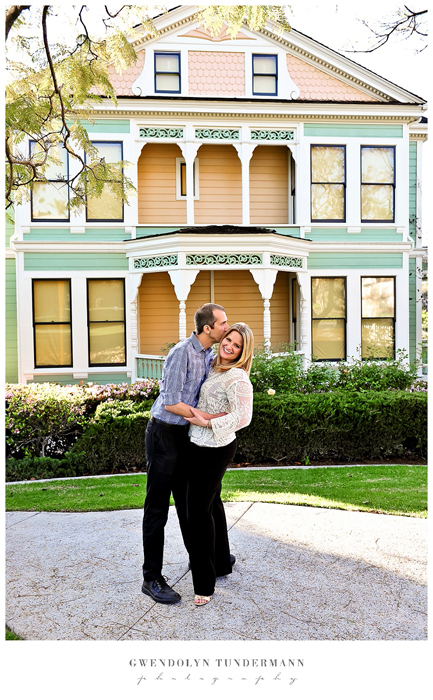 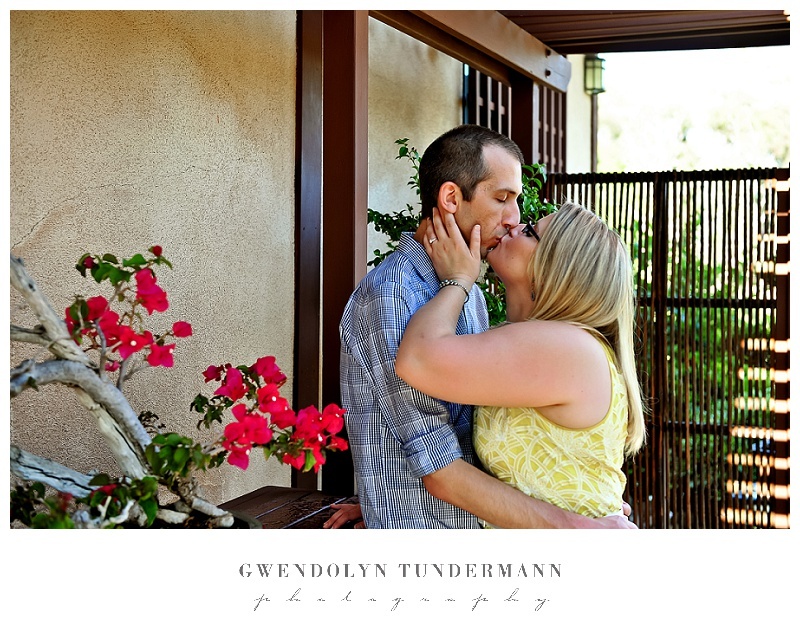 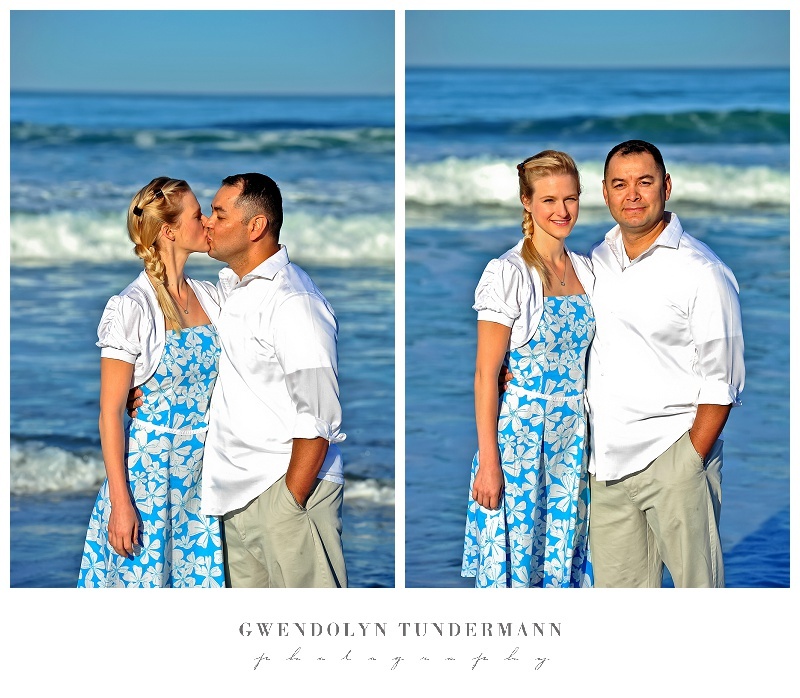 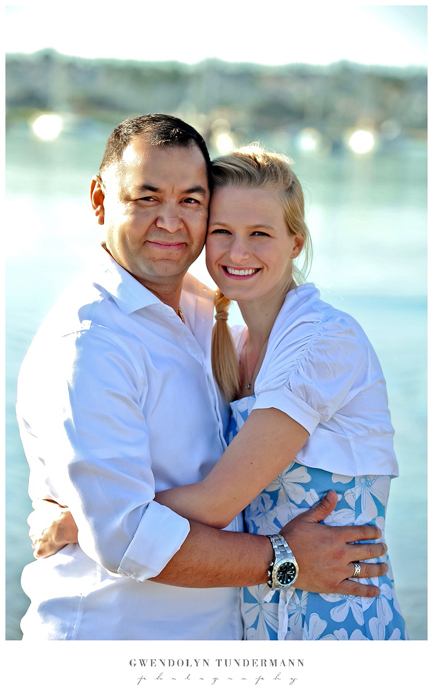 We wrapped up their engagement photos at Heritage Park in Old Town San Diego. 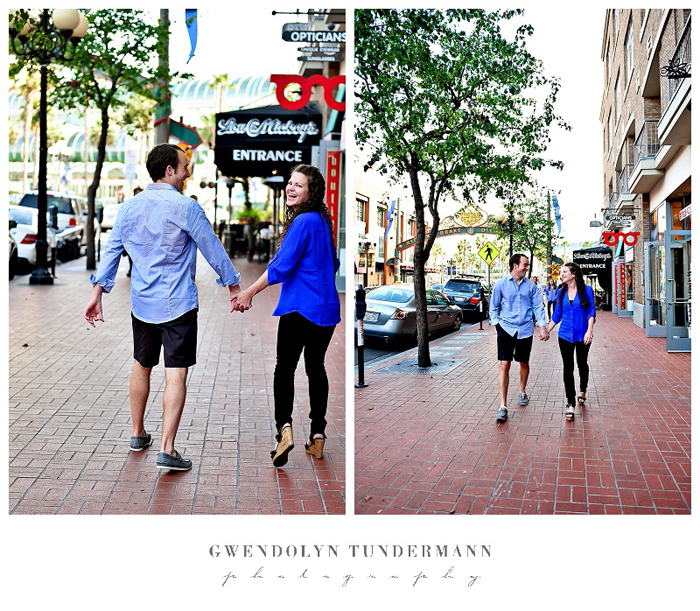 This was Jennifer & Kevin’s original location for their wedding, but they decided to move to another venue in Old Town. 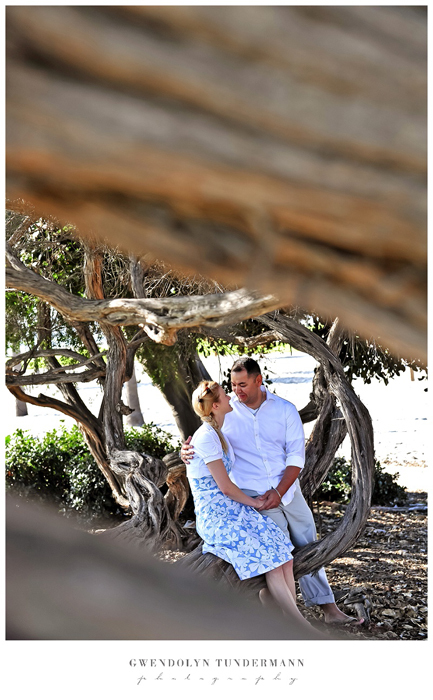 They still love this spot (and for good reason) so I’m glad we got to shoot some photos of them there. 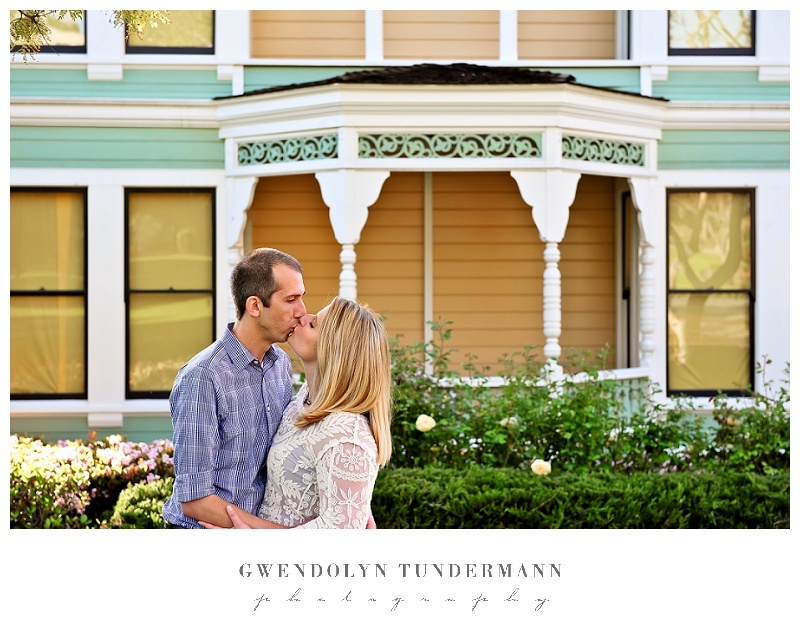 Isn’t it absolutely charming?! 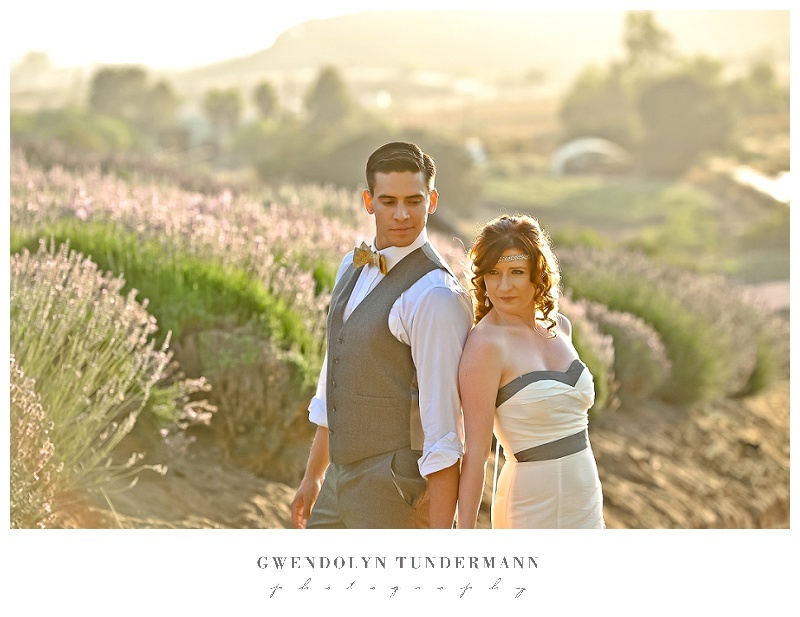 It’s such a pretty spot and we had beautiful light. 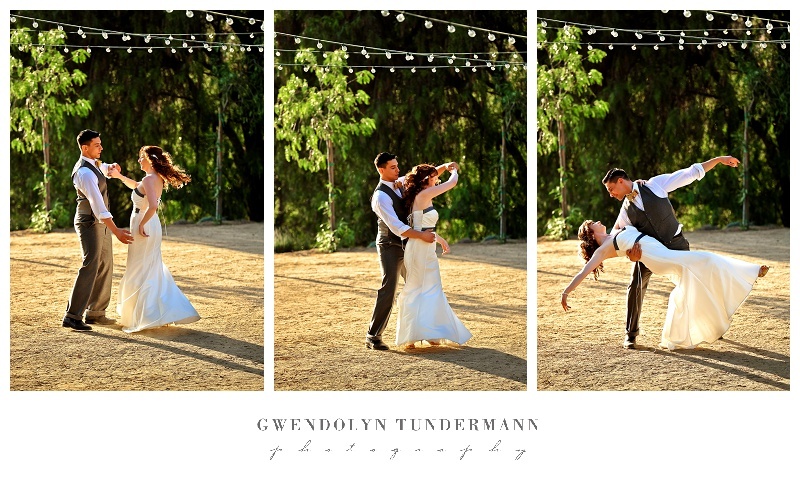 This set has some of my favorites from the whole day! 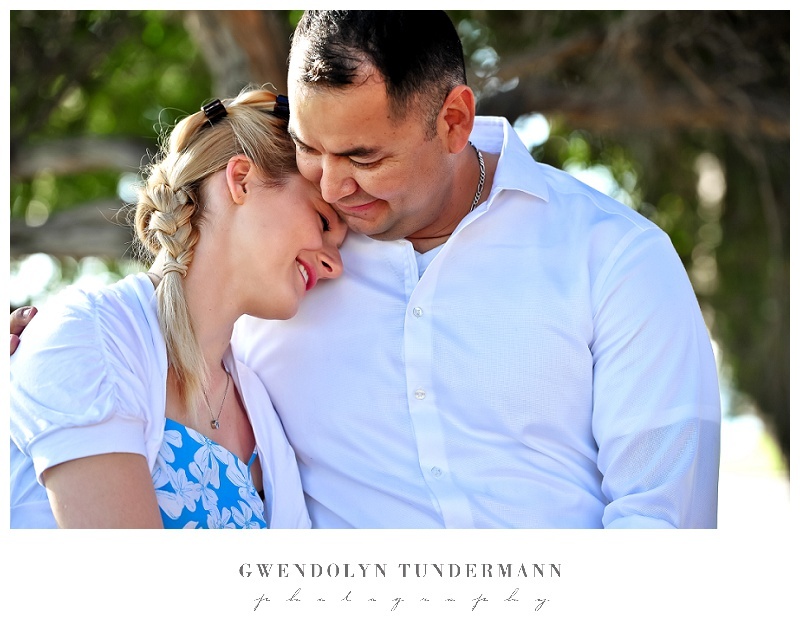 Last week we show you a sneak peek from Kaitlin & Alfredo’s San Diego engagement photos, and this week we are so excited to share more from their sweet session! 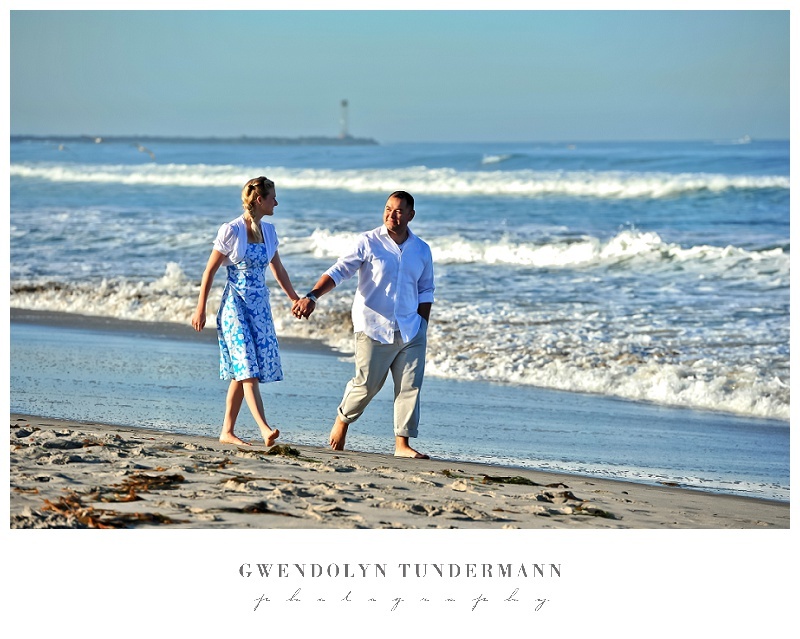 We started off our early morning at Mission Beach with our toes in the sand. 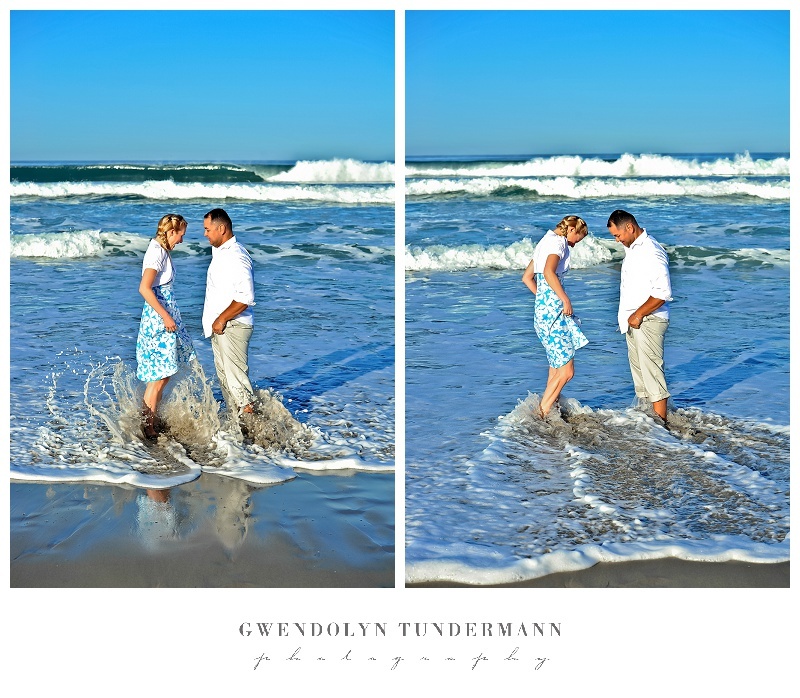 At that early hour, it was really just us and the surfers! 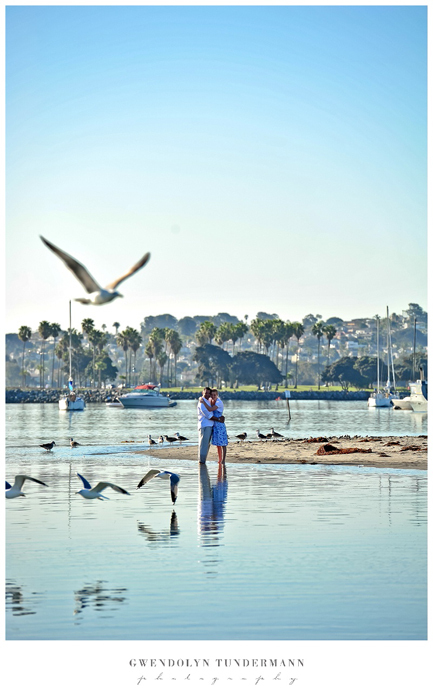 We continued across the street to Mission Bay Park where Kaitlin & Alfredo snuggled among the seagulls gathered to enjoy the sunshine. 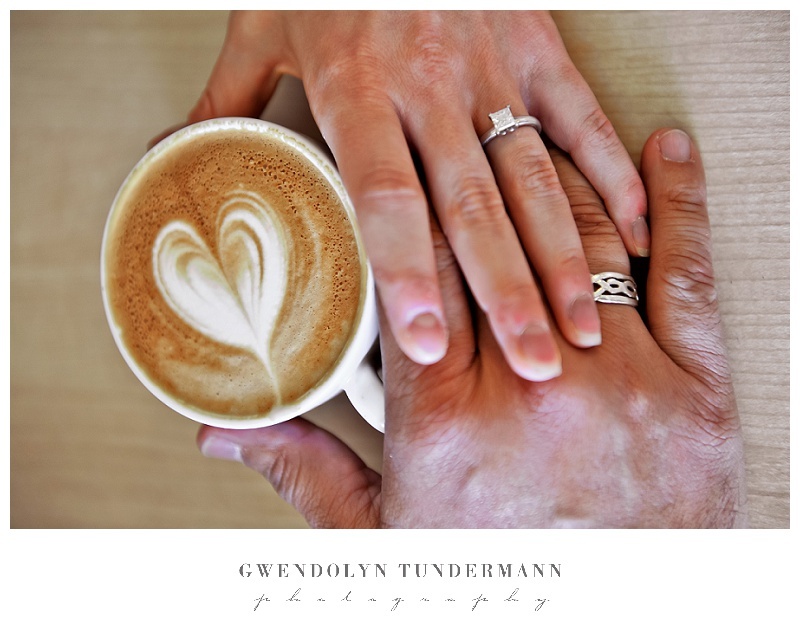 After the beach, we headed over to Coffee Couture, one of their favorite spots to spend time with each other over delicious coffee and pastries! 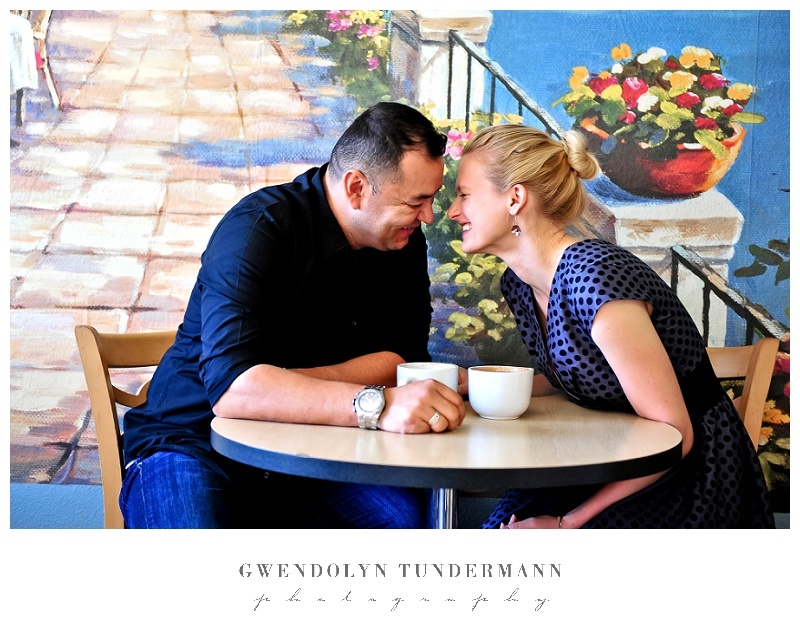 This place is such a gem, and everyone was so nice making new drinks so that these lovebirds always had the freshest brew in their hands! 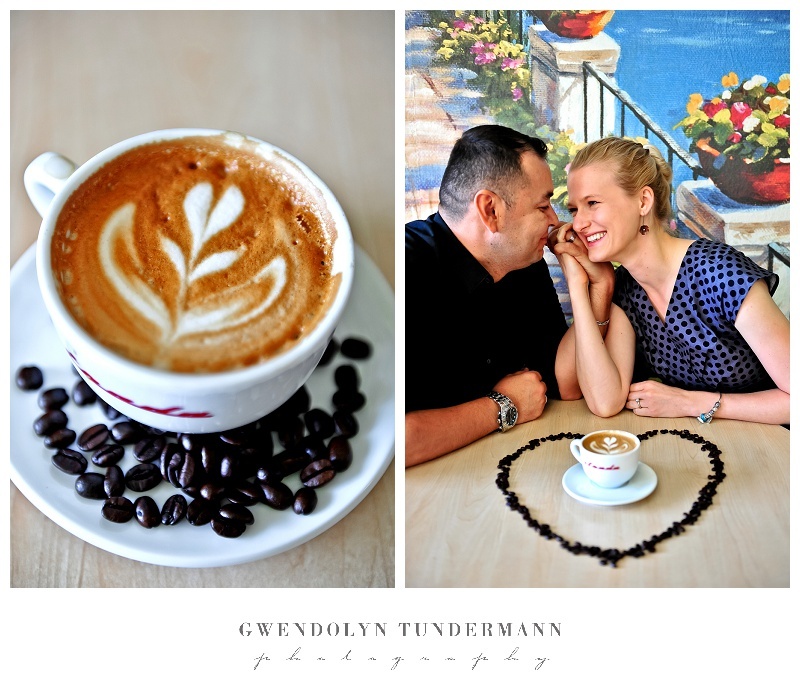 I had an iced mocha latte with coconut syrup that was heaven in every sip! 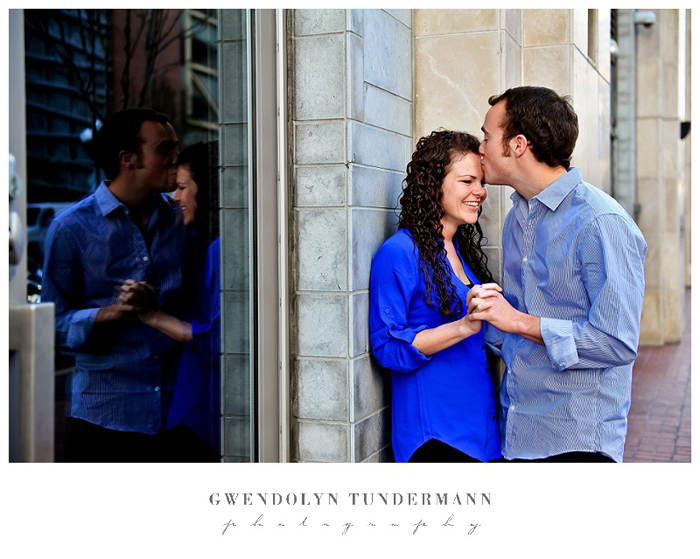 We had so much fun spending the morning with these two and can’t wait for their wedding later this spring! 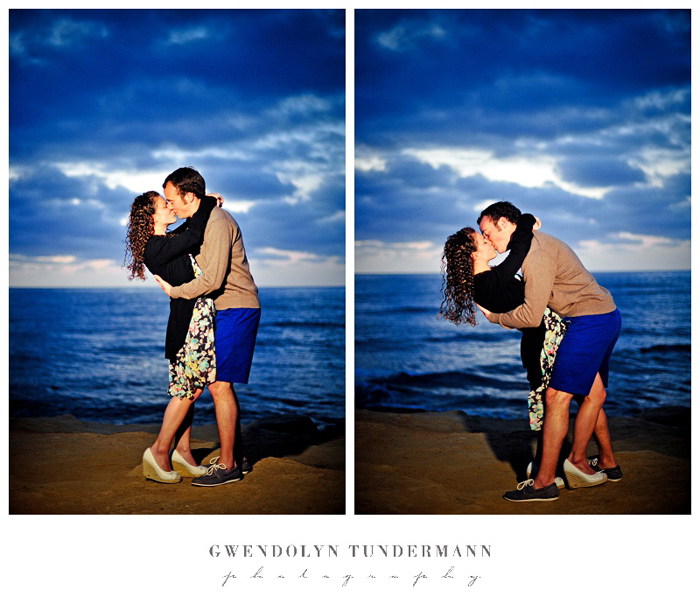 Here are some lovely pics to help start the week off right! 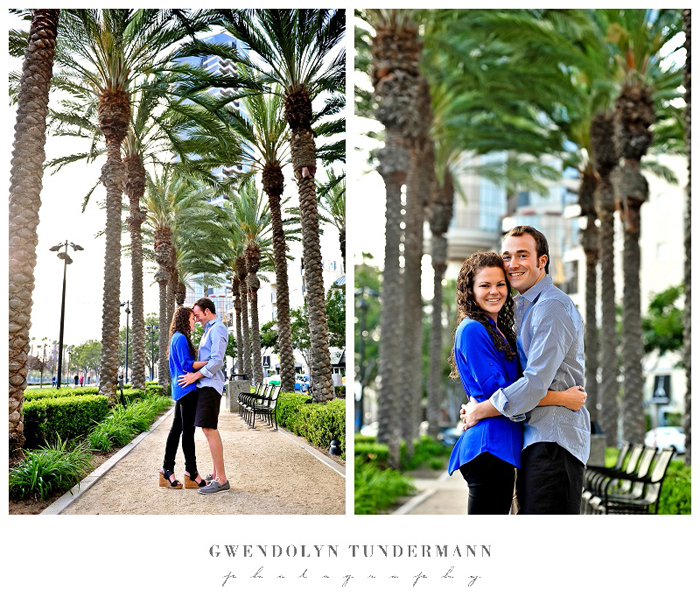 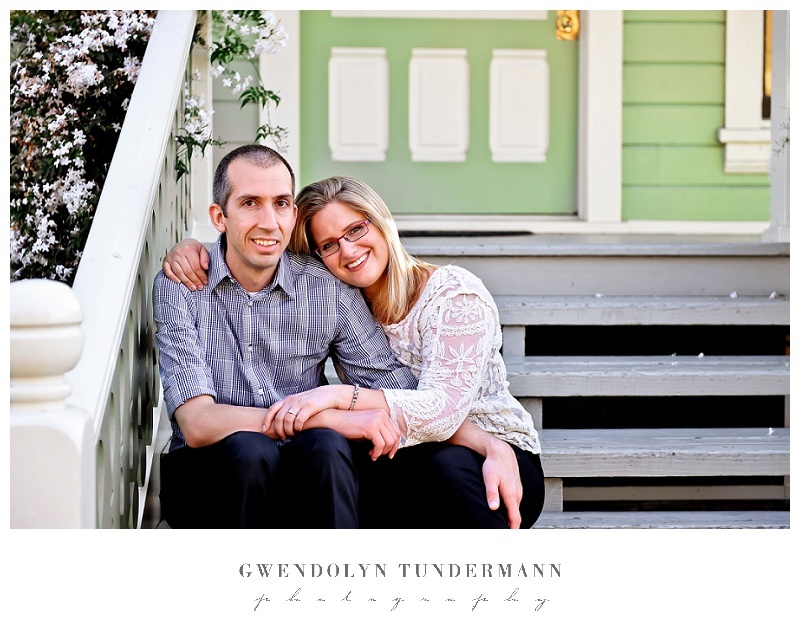 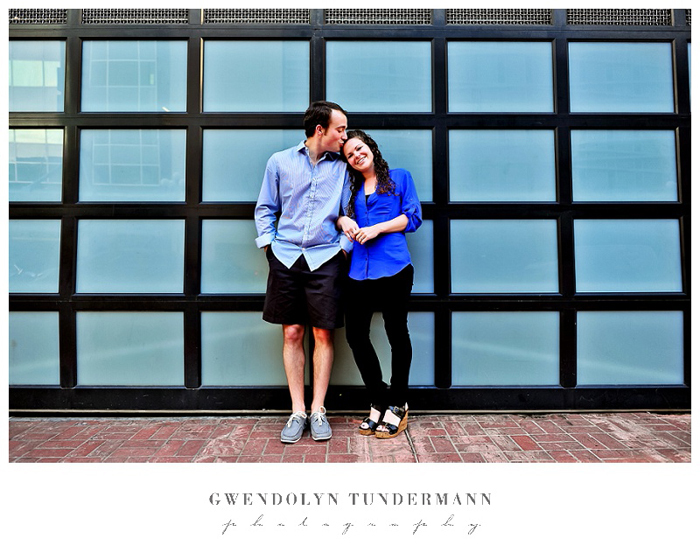 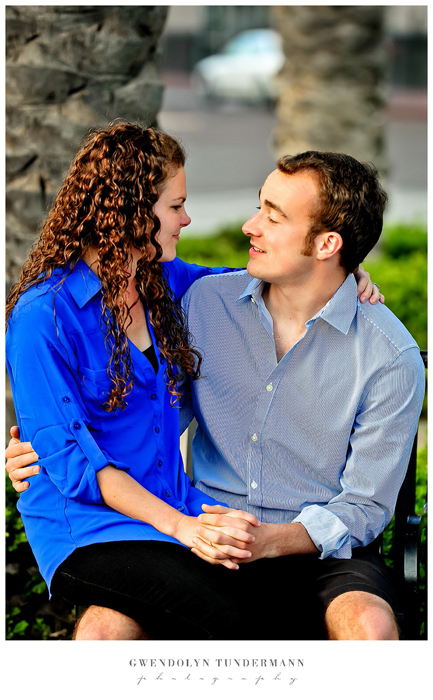 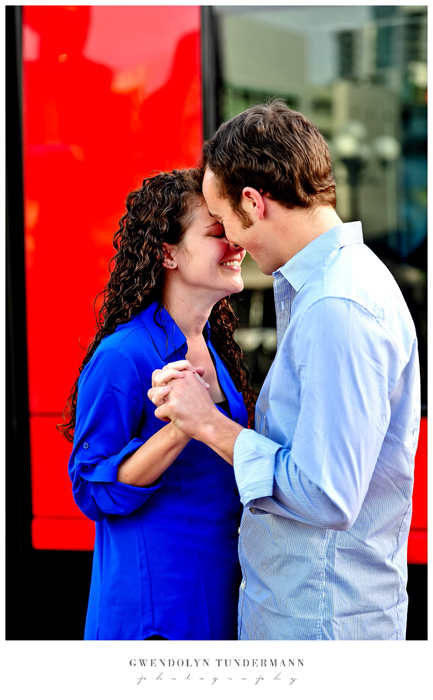 Yesterday we got to meet up with Gerilyn & Thomas for their engagement photos in downtown San Diego! 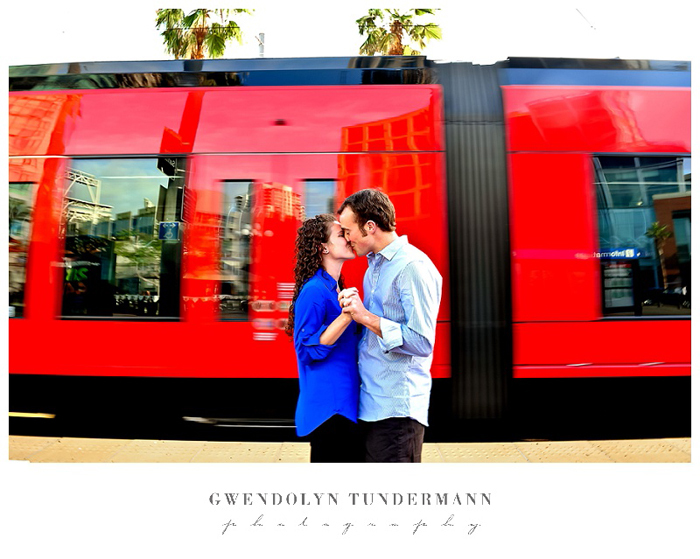 The first time we met was in Las Vegas, so it was fun to hang out with them in the city where they will be getting married this summer! 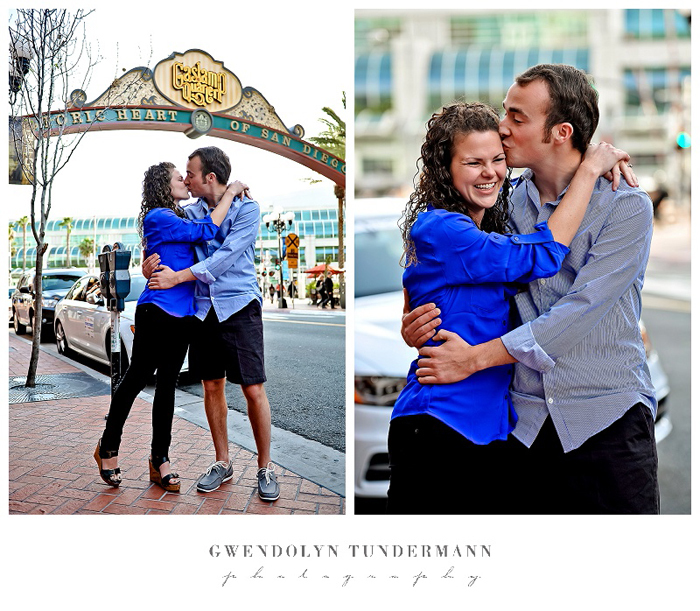 We started off walking around the Gaslamp District – one of San Diego’s most iconic areas! 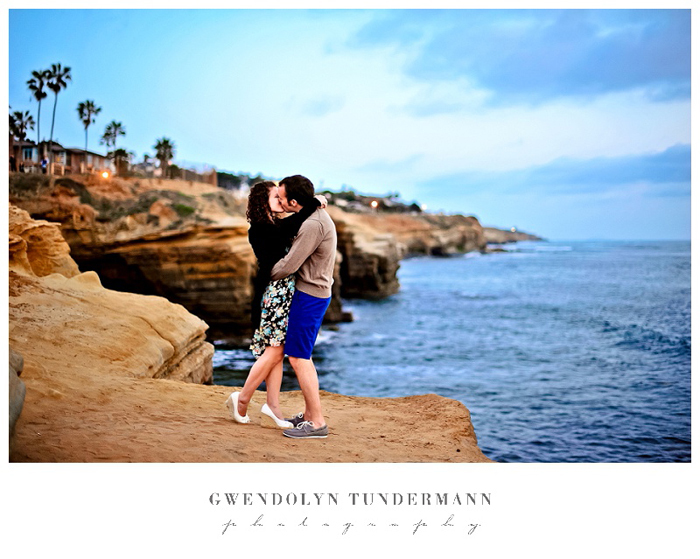 Then we headed over to beautiful Sunset Cliffs for some photos along the stunning California coast. Finally, we wrapped up by stopping at one of our secret locations for a view of downtown at night! 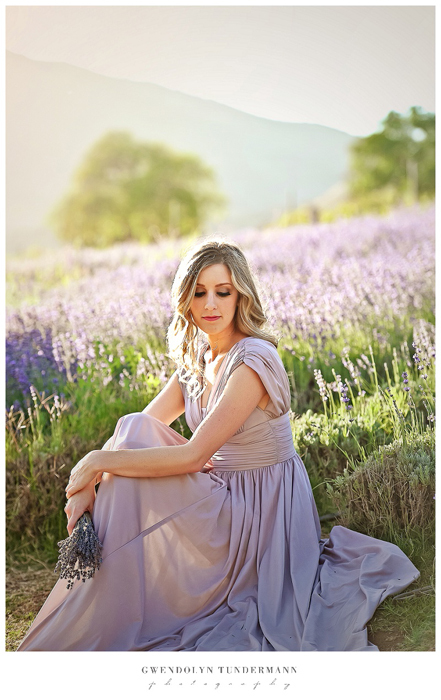 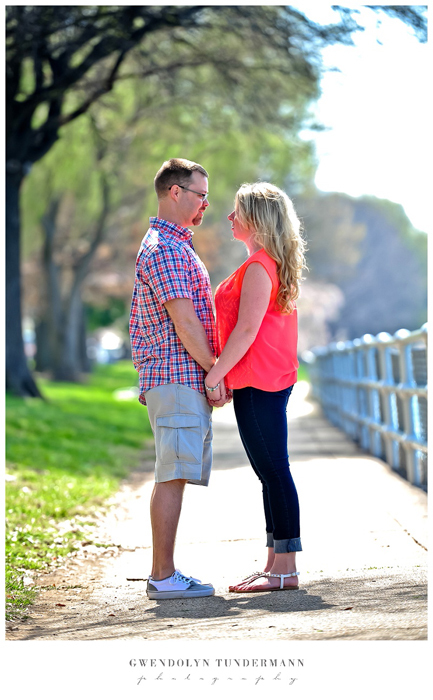 So I hope you don’t mind the extra sneak peek since we went to 3 different locations! 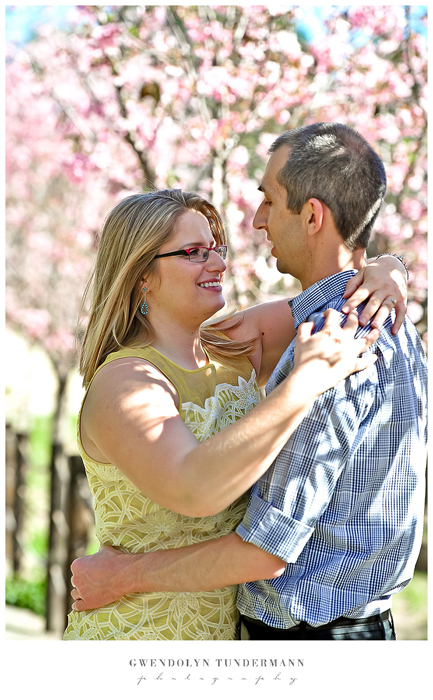 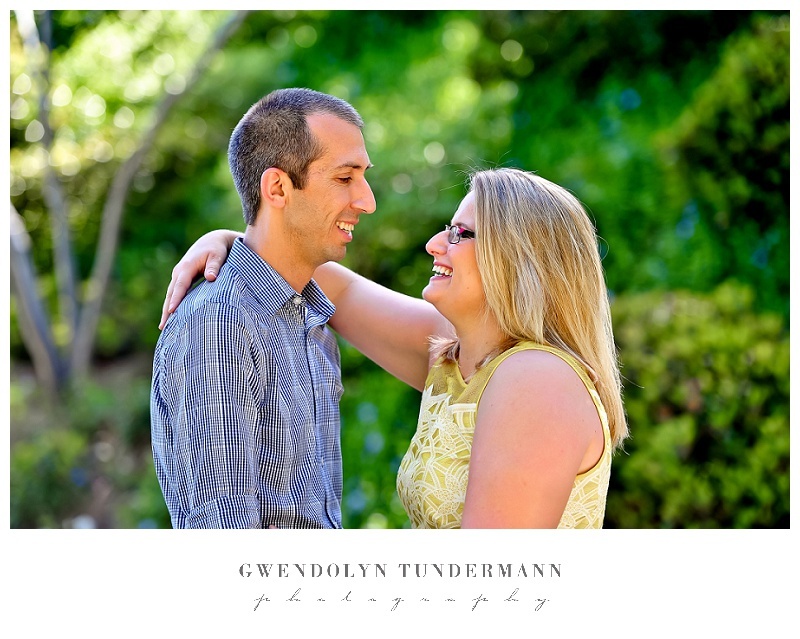 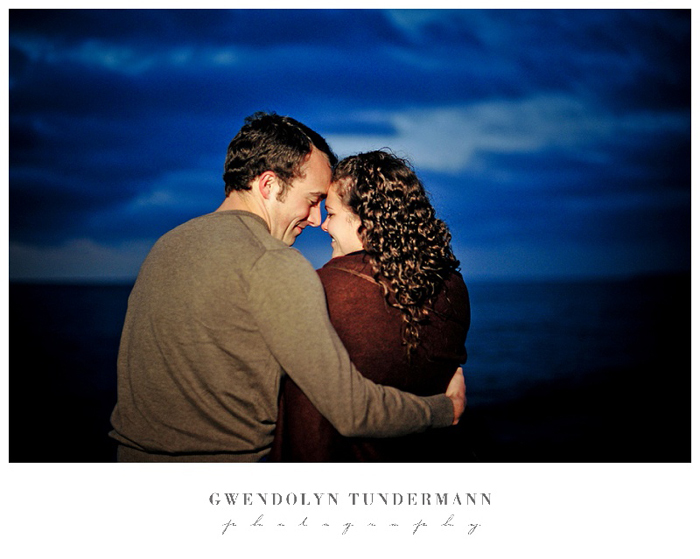 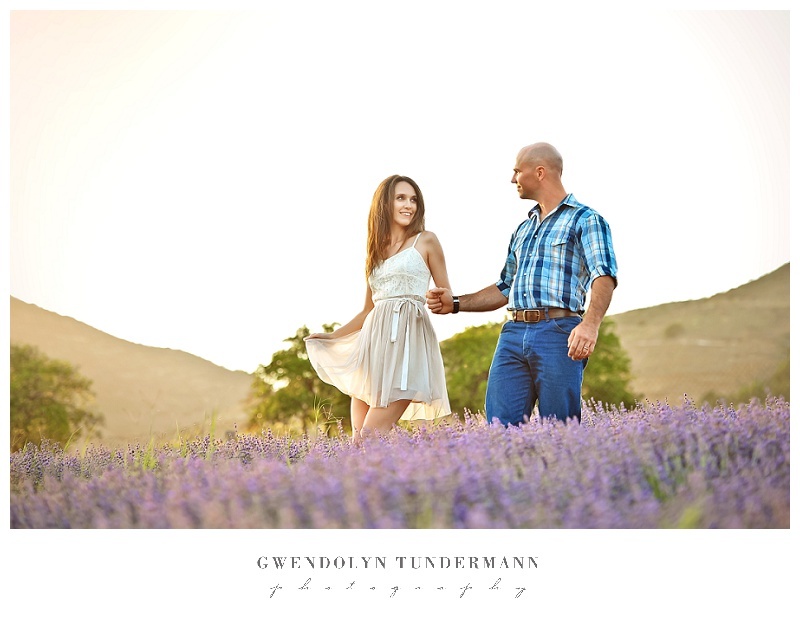 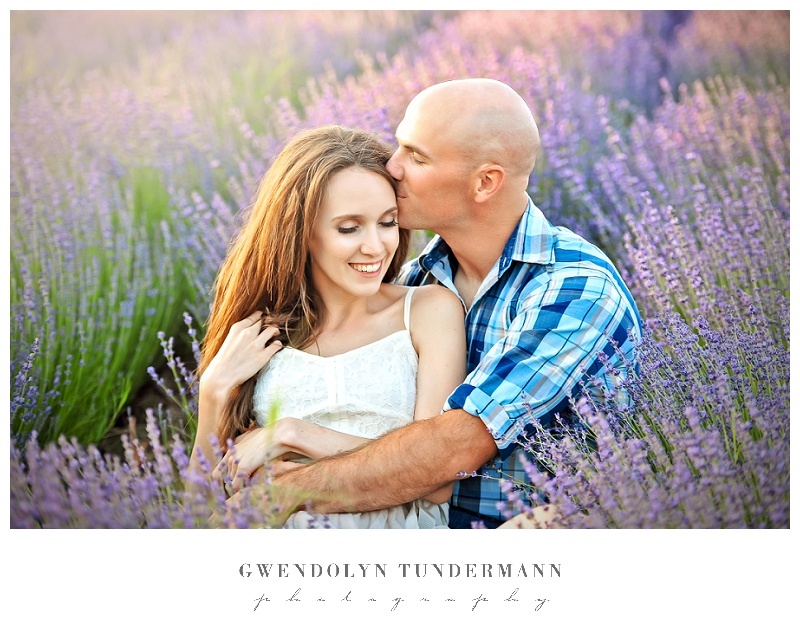 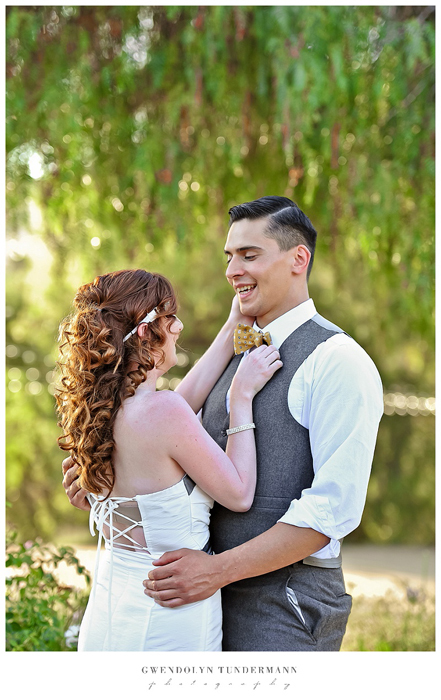 Can’t wait to share more pics of this cute and happy couple! 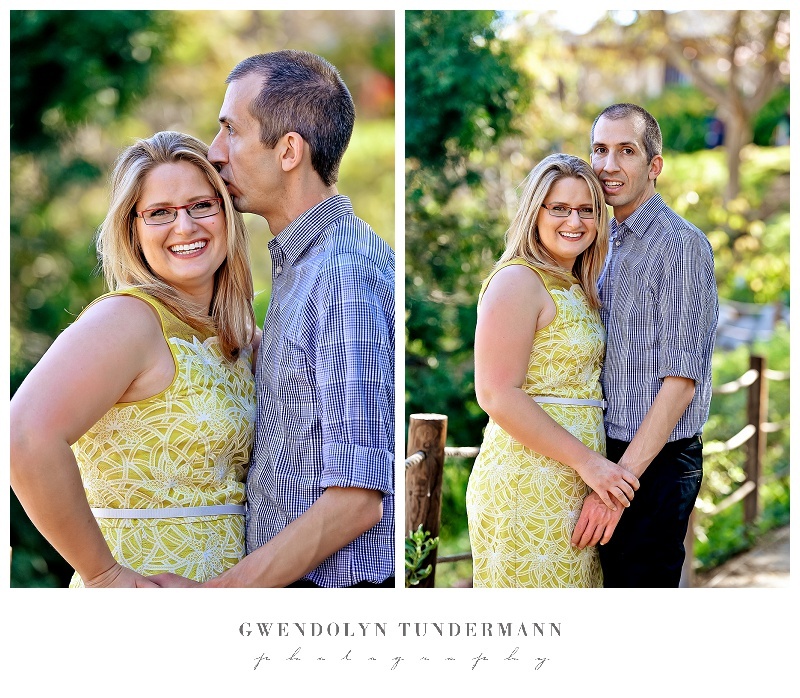 Yesterday was a gorgeous day to be outside, and we got to spend the afternoon with Jennifer & Kevin for their engagement photos at Balboa Park. 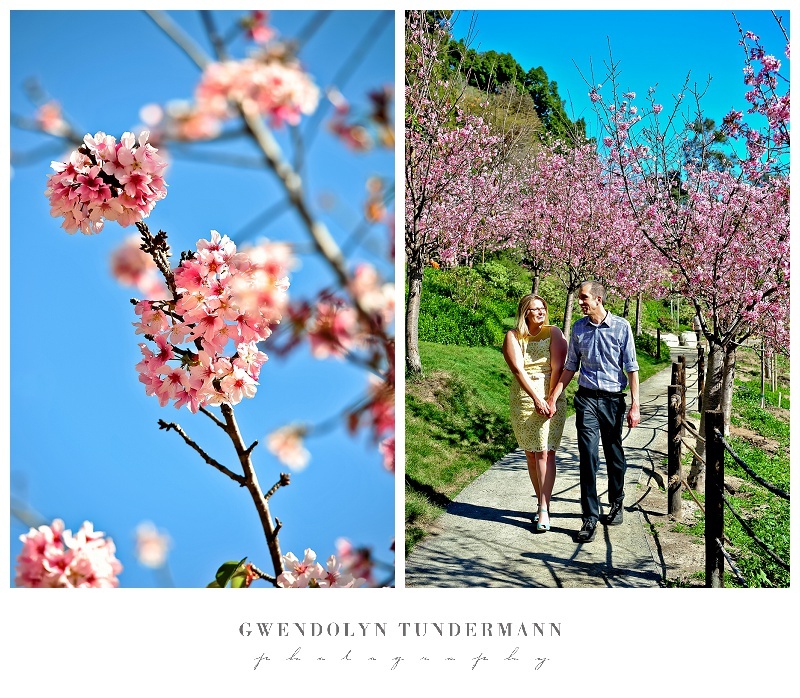 We started at the Japanese Friendship Garden, which was full of beautiful blossoms! 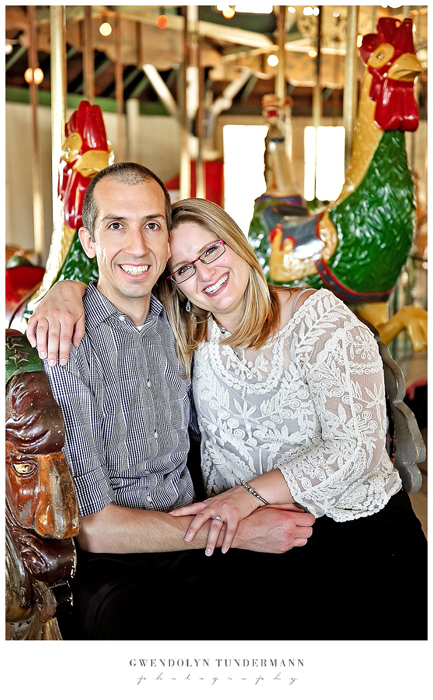 We also had some fun on the carousel and wrapped up their session in Old Town at the beautiful Heritage Park! 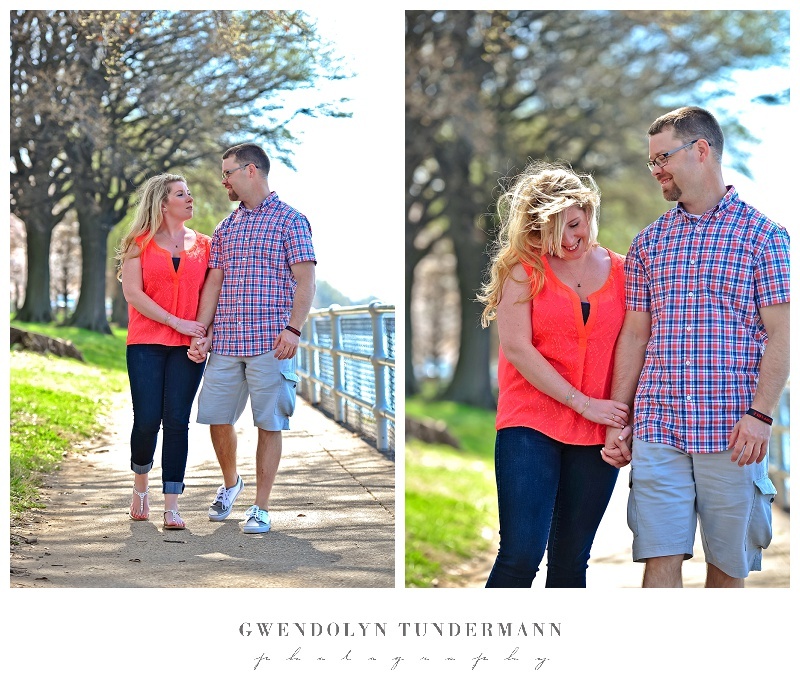 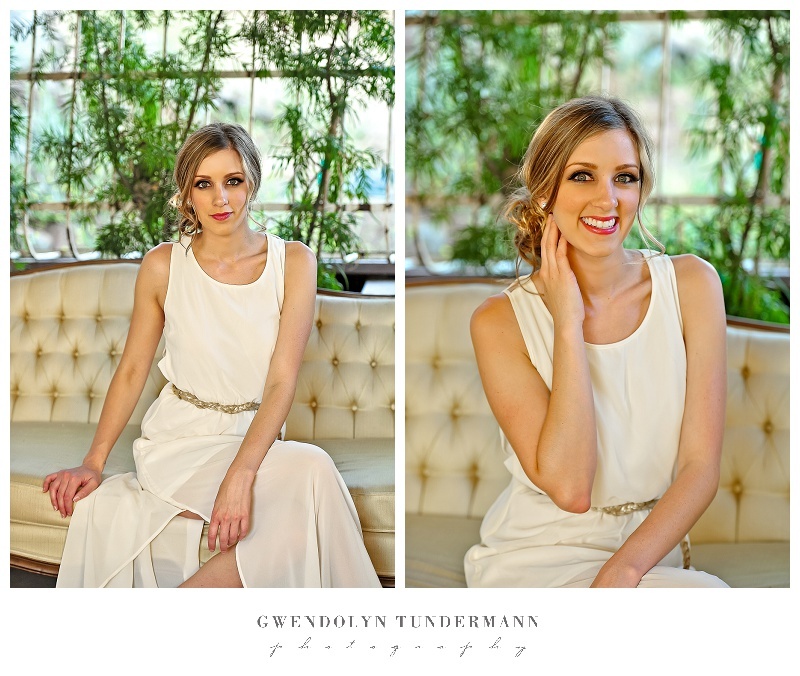 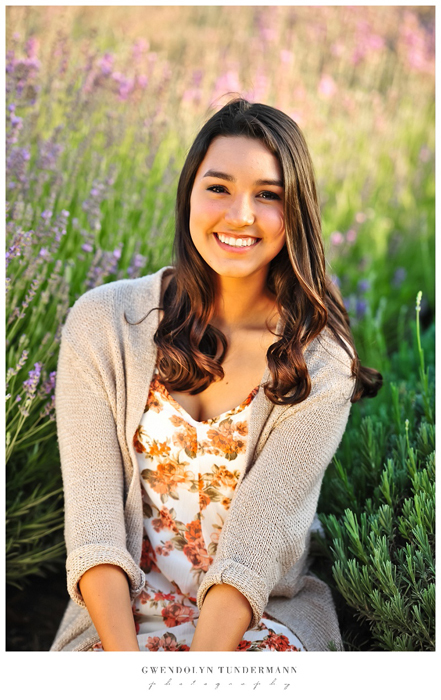 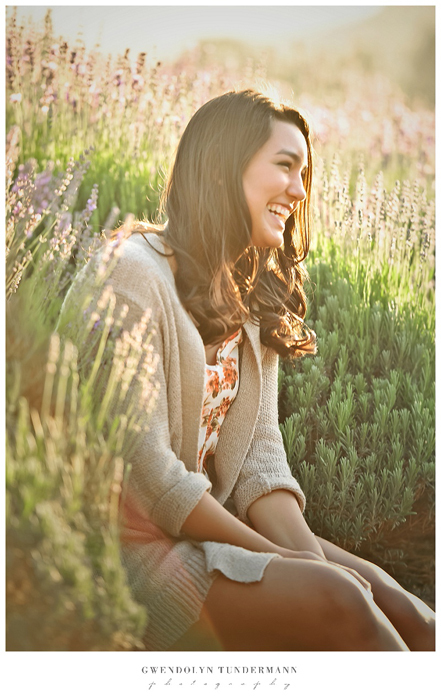 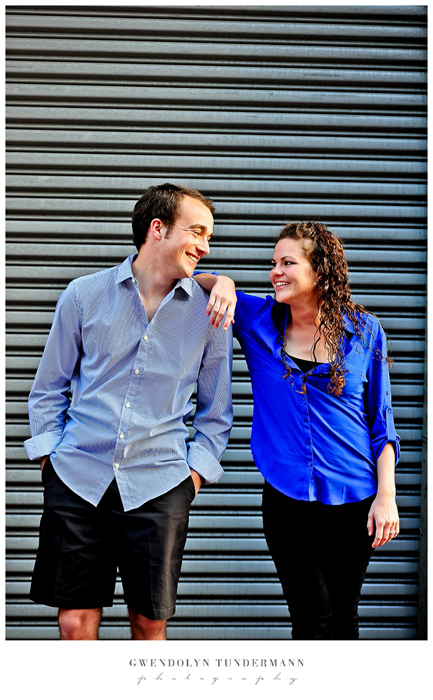 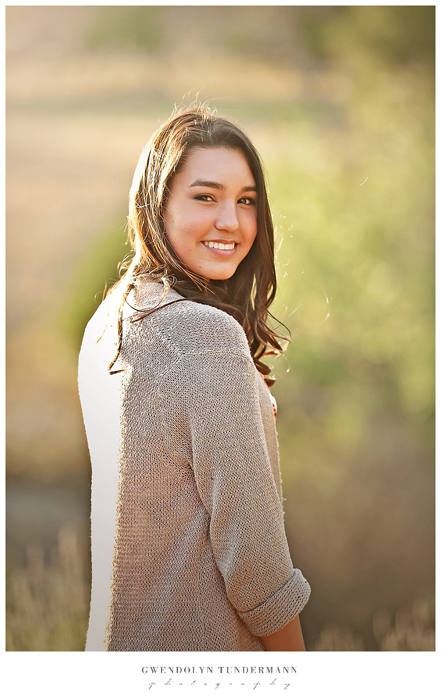 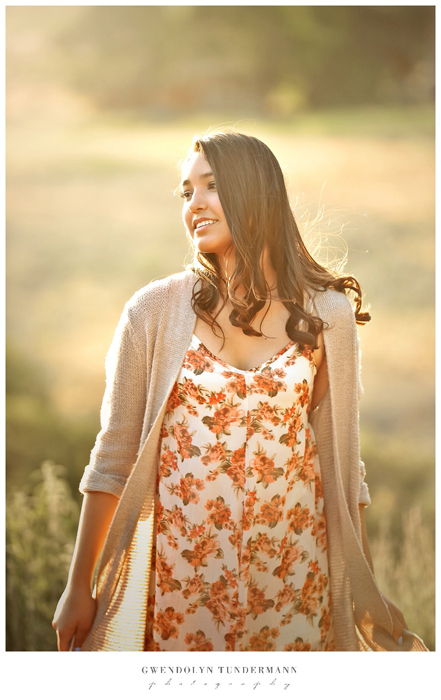 We hope you enjoy a couple highlights from their session! 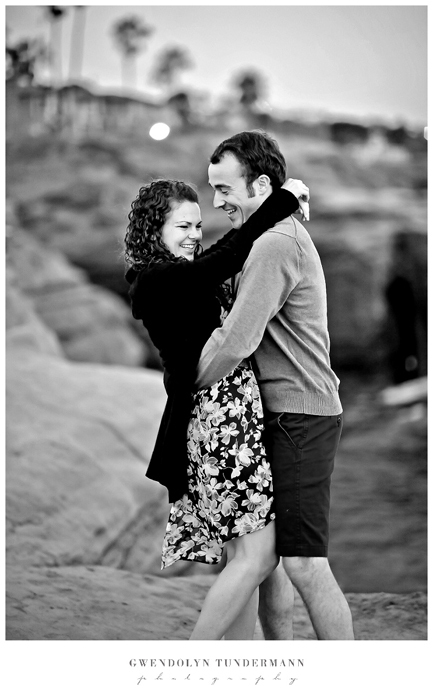 Their photos also reminded me of one of my favorite songs. 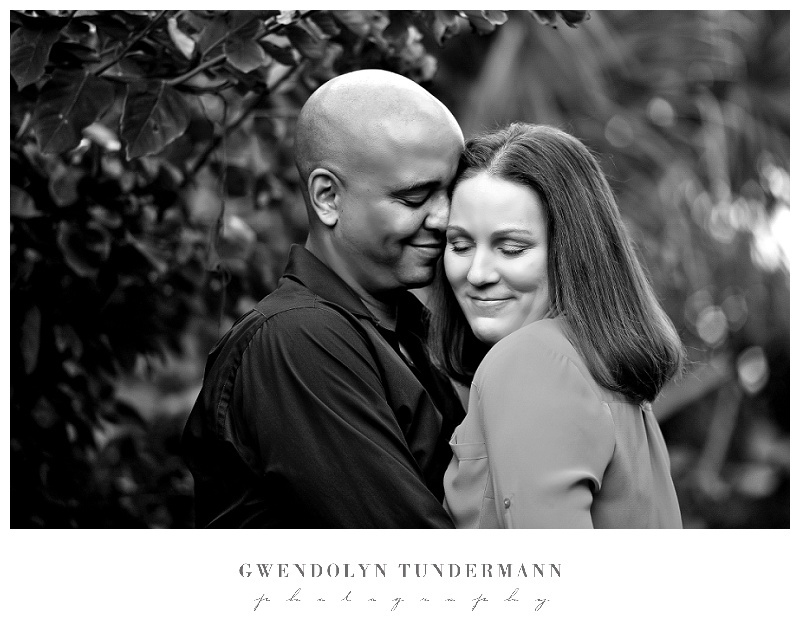 Happy Valentine’s Day everyone!! 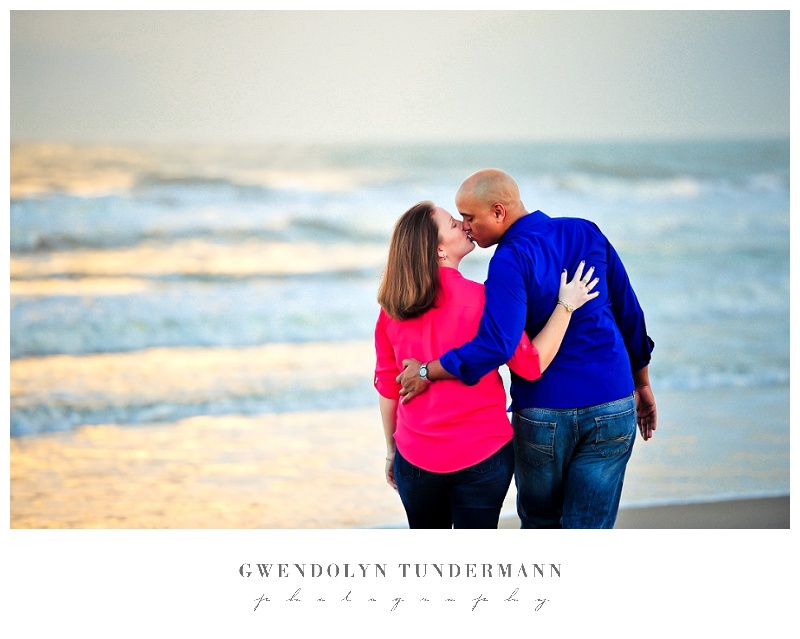 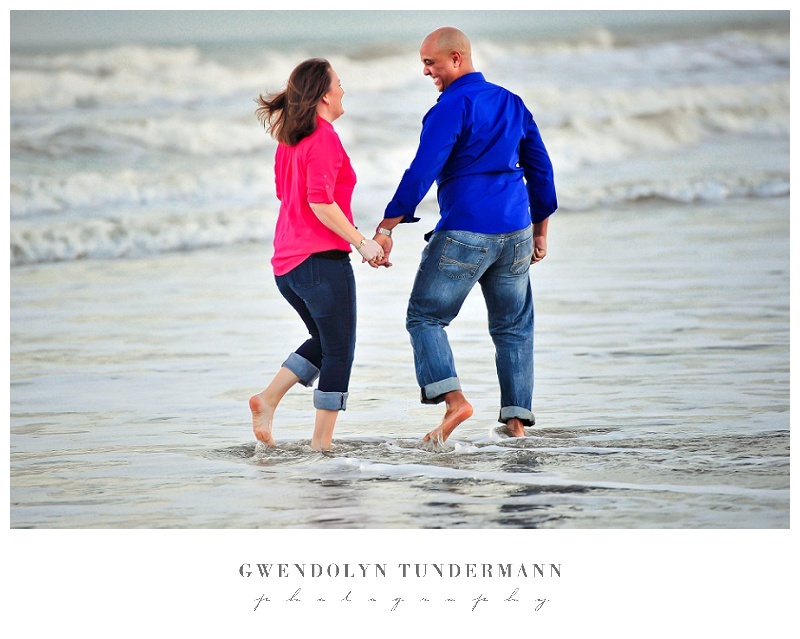 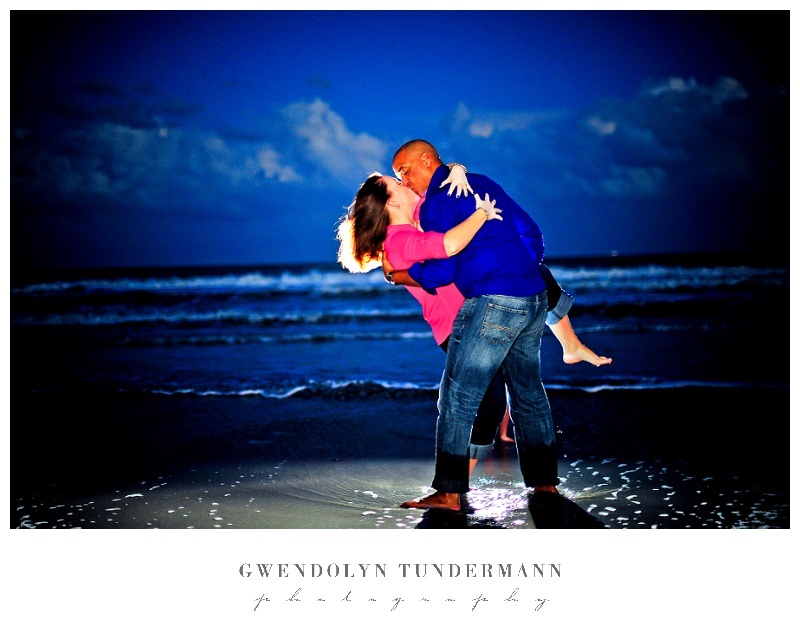 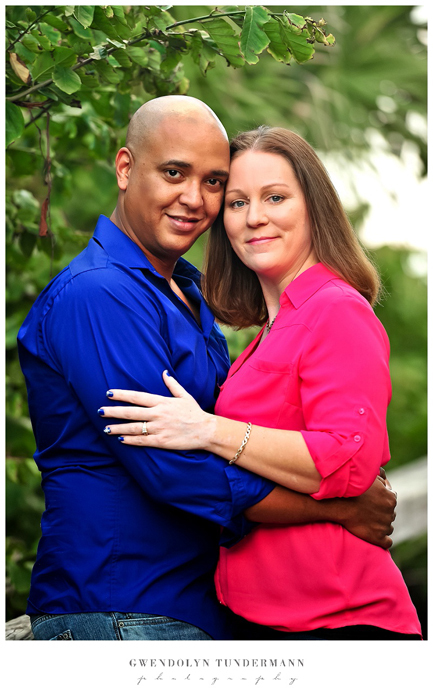 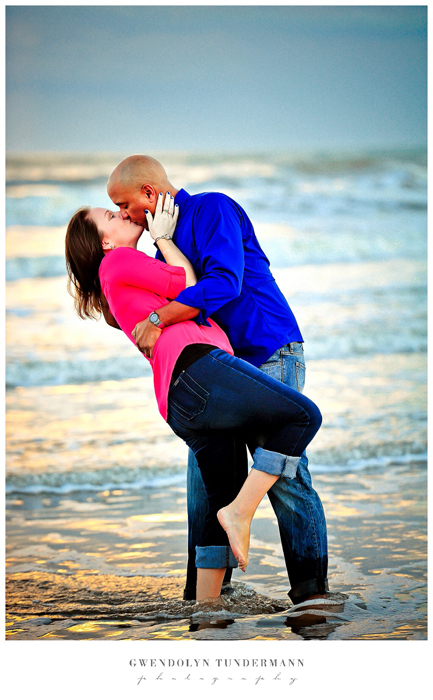 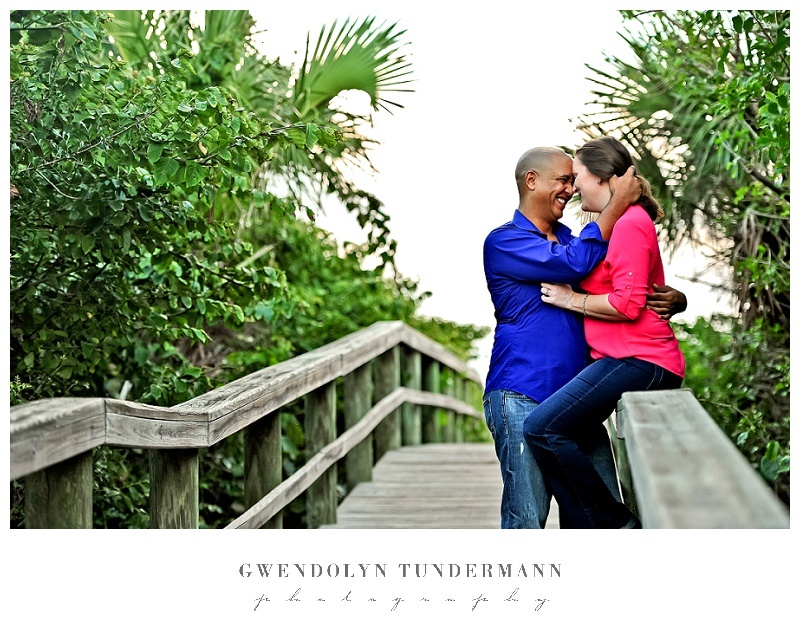 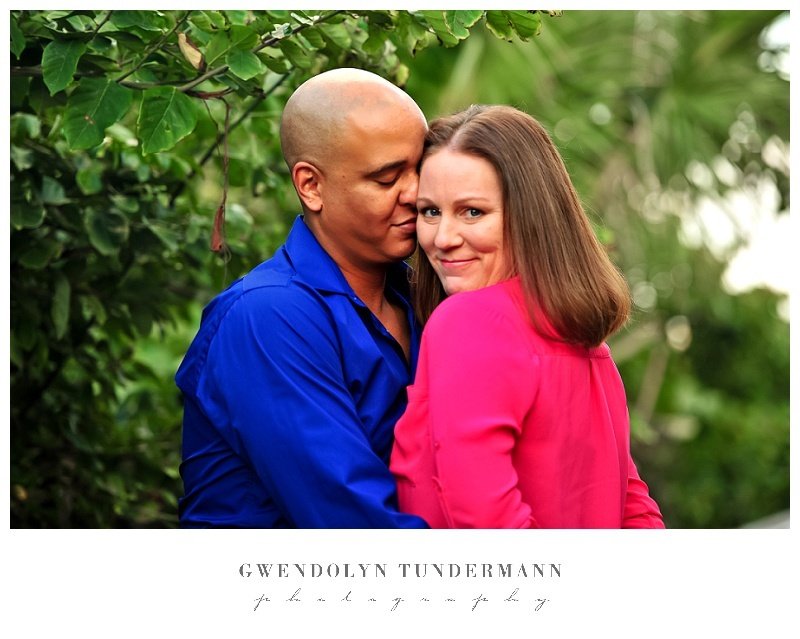 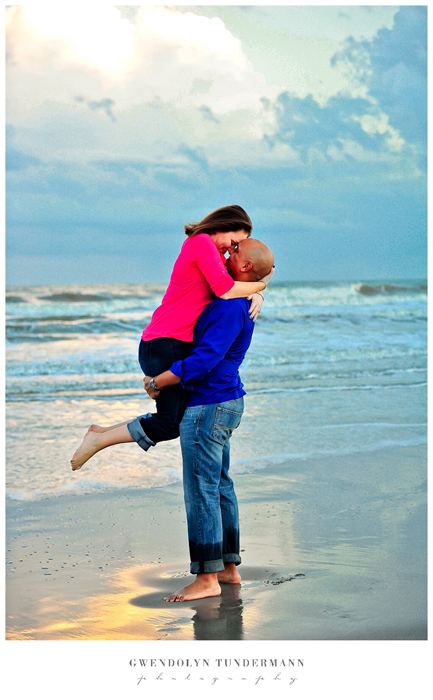 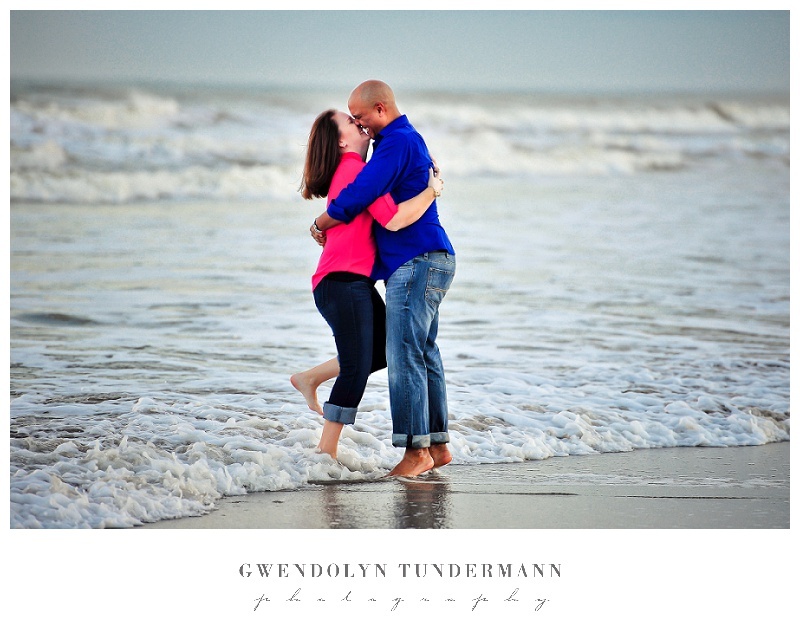 I had to share one of my favorite sessions on happy-heart-super-duper-love-day – Crystal and Carl’s engagement photos in Cocoa Beach! 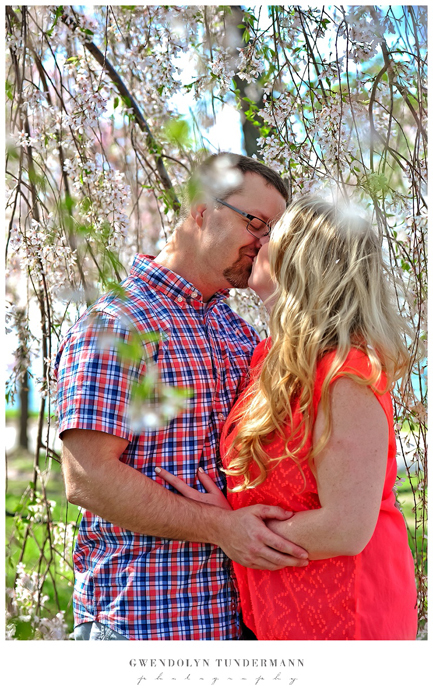 Sure, I may be biased because it’s my best friend with the love of his life, but I just think that these two are a perfect example of what “happy and in love” looks like! 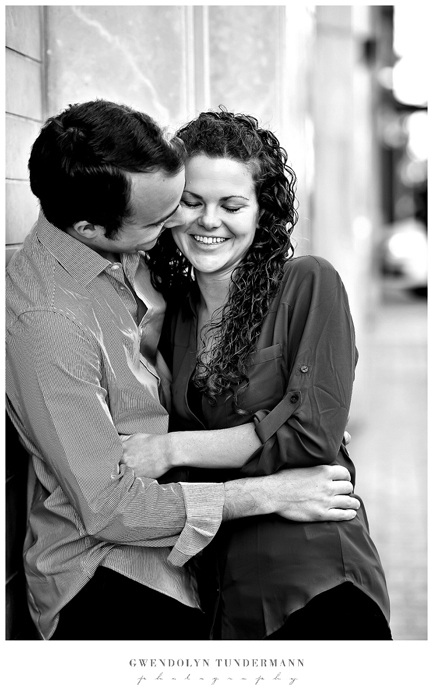 I hope they inspire you to laugh with your sweetheart on this special holiday celebrating L-O-V-E!